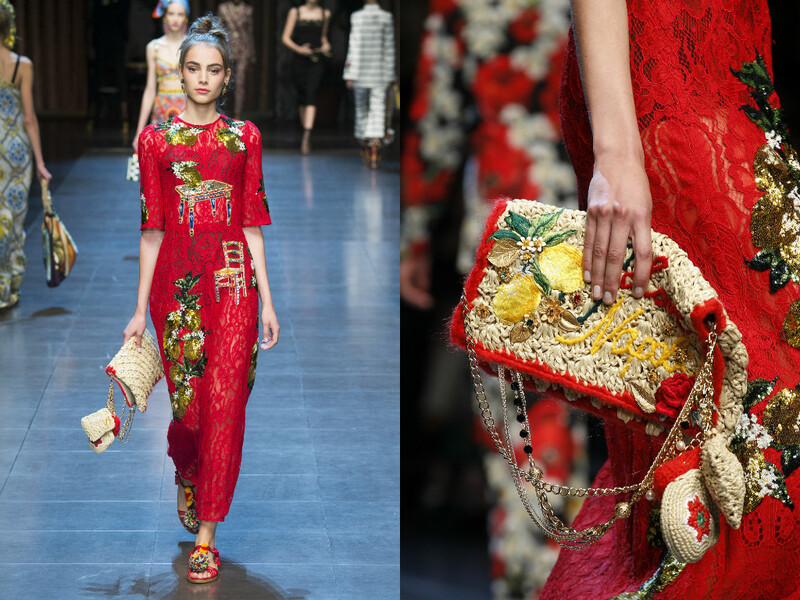 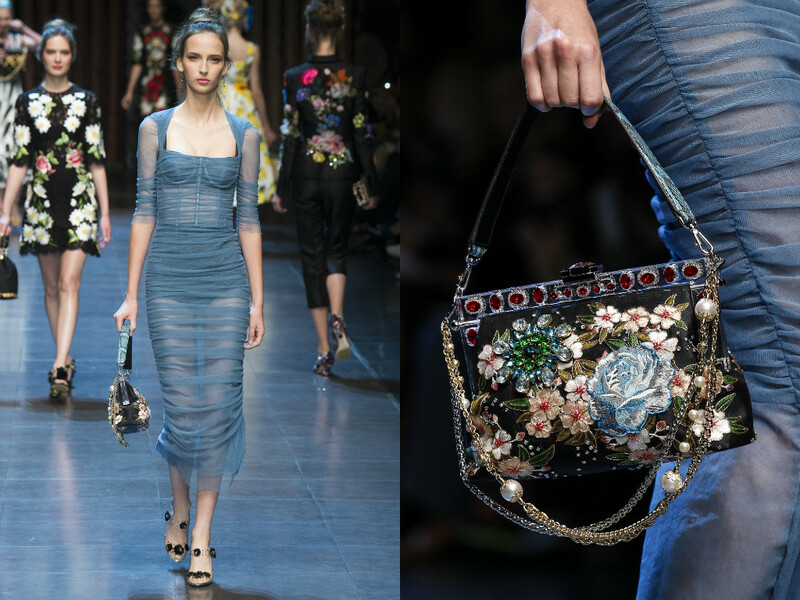 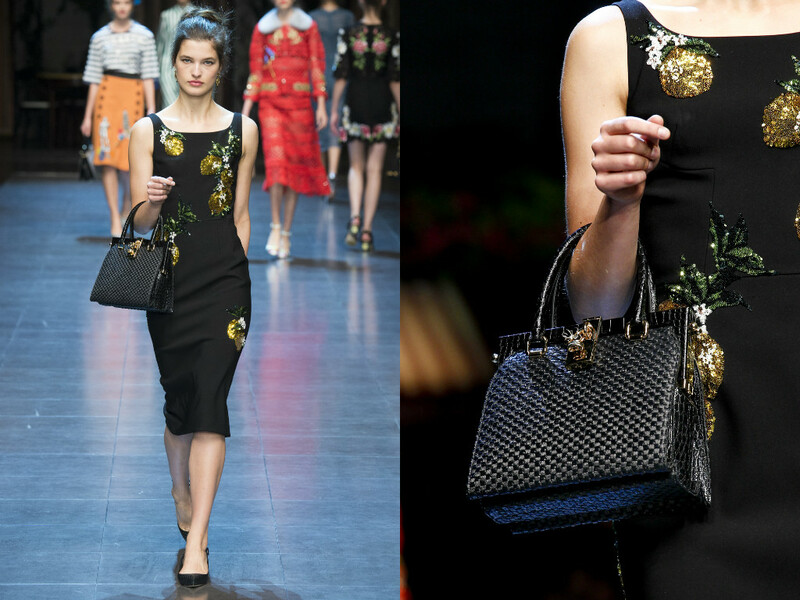 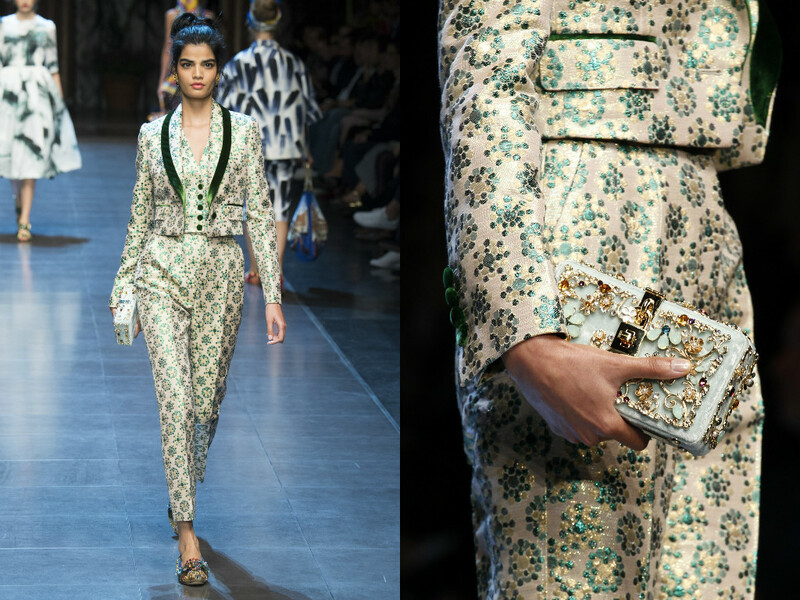 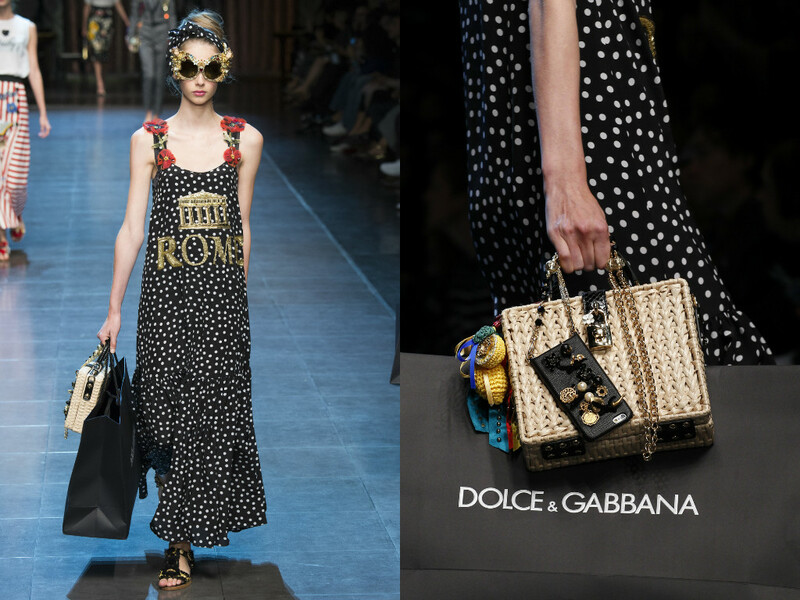 Looking through old posts on my blog, I noticed that I haven't actually ever written about Dolce and Gabbana. 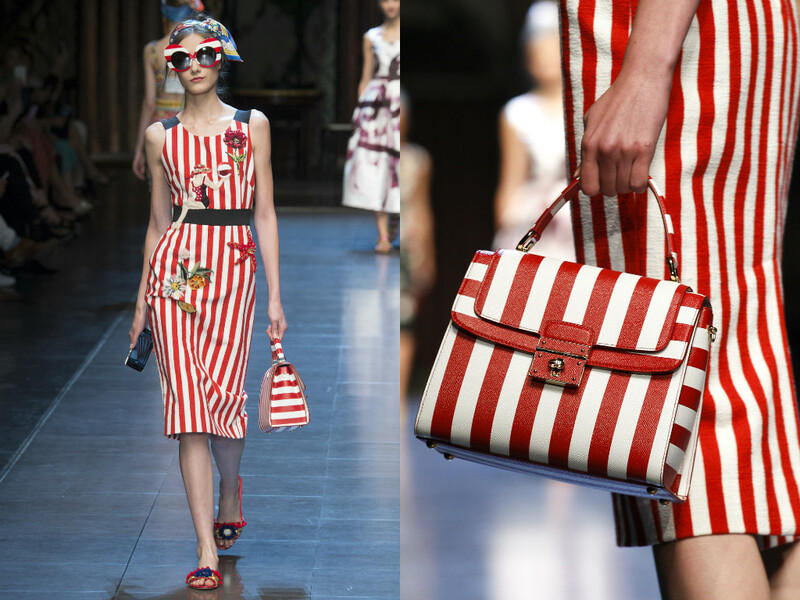 Which surprised me, as it is one of the most successful brands, not only in Italy, but across the globe. 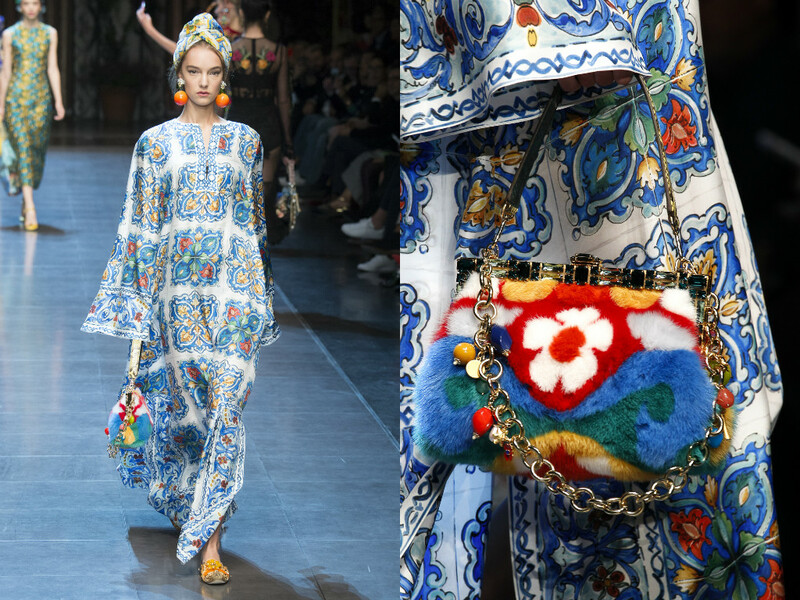 Looking at this collection from the outset, I wouldn't be surprised if people would have thought that the brand was Spanish, but it is indeed an Italian brand. 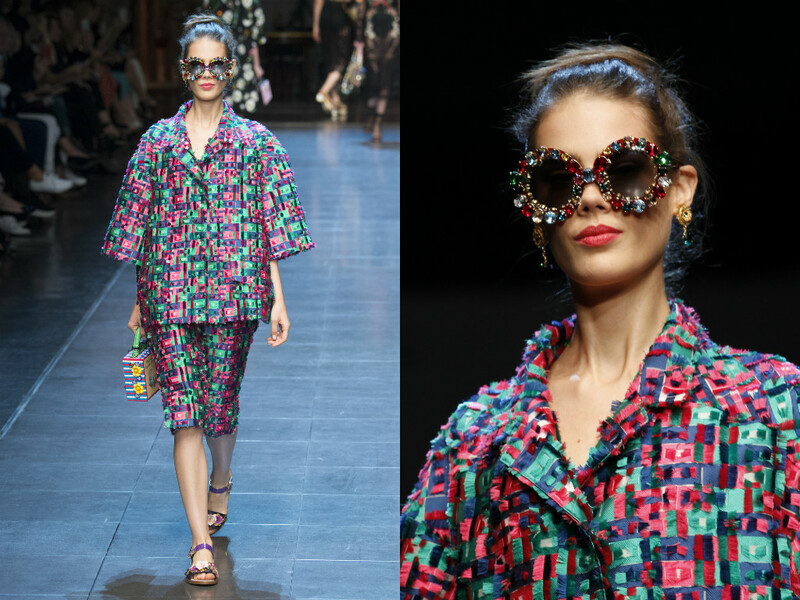 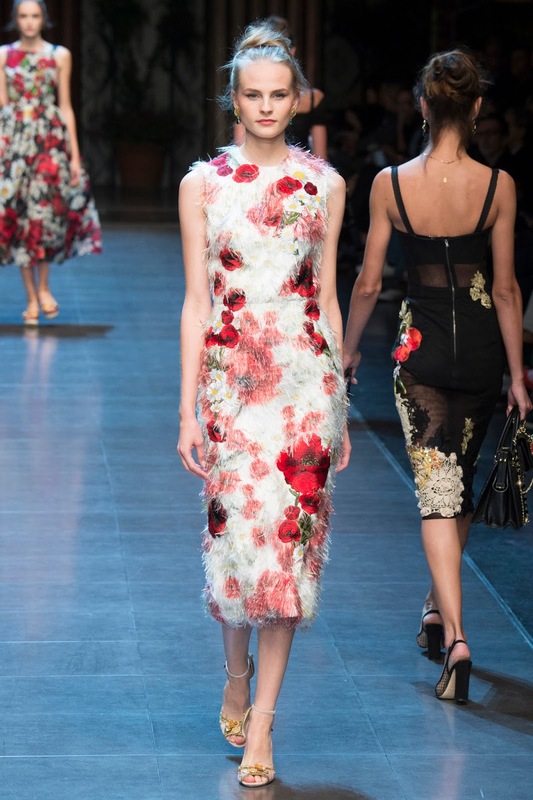 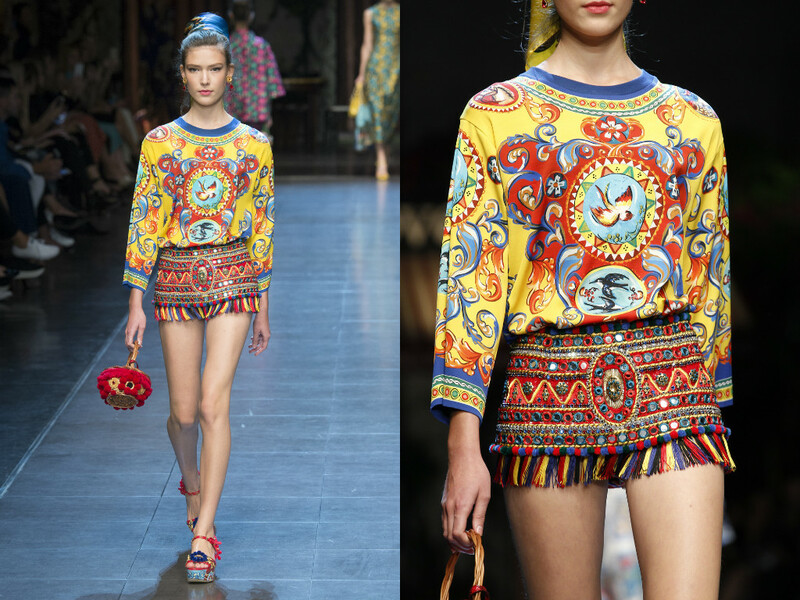 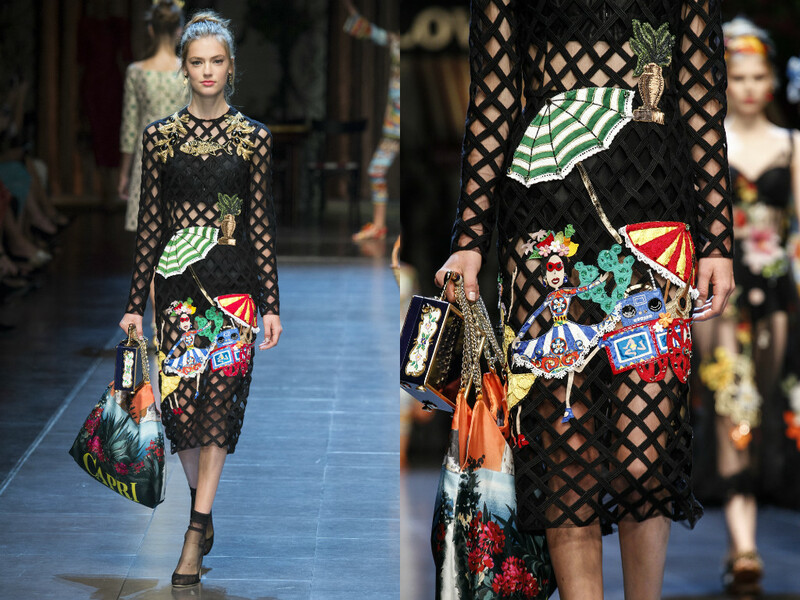 The brand was founded in 1985, by Domenico Dolce and Stefano Gabbana, who are both italian. 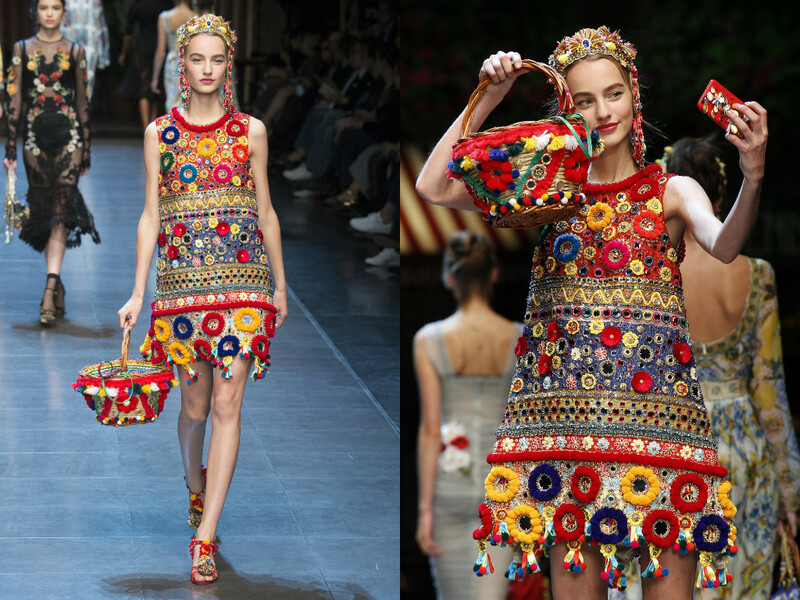 They met in 1980 by designing for the same fashion house, and by 1982 had formed "Dolce and Gabbana". 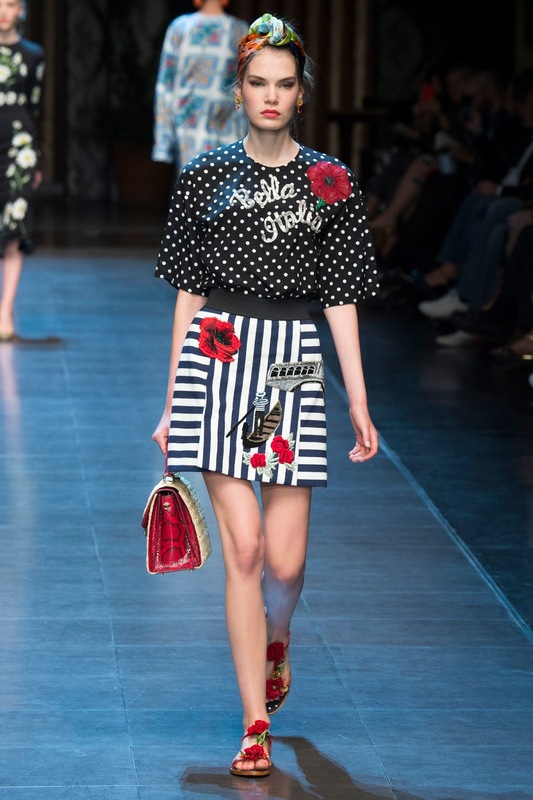 They released their first women's collection in 1985, and the doors to their first store opened shortly afterward. 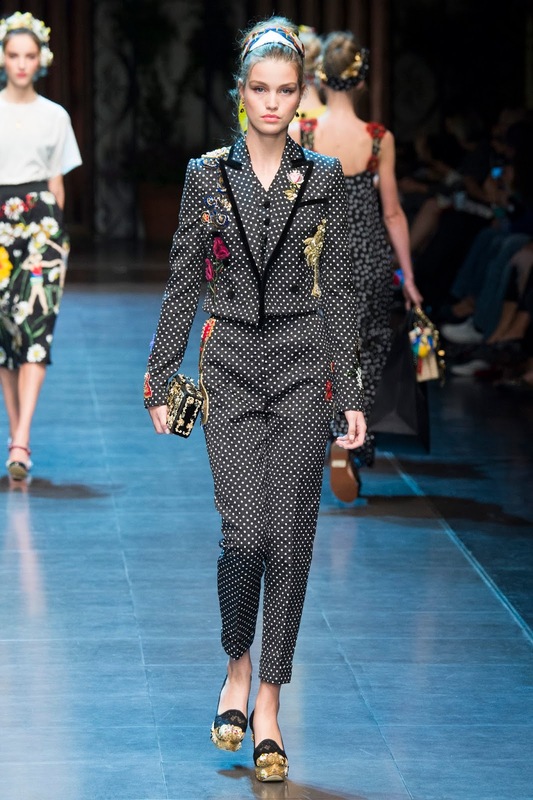 They then started designing menswear a few years later in 1992, which was followed by the release of their first fragrance. 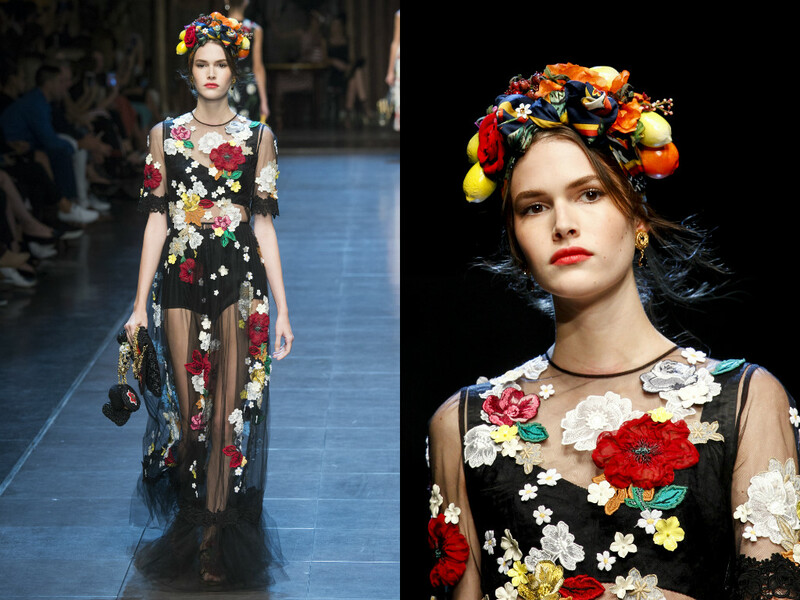 I absolutely love Dolce and Gabbana after really looking into the brands history, their previous collections and also visiting their stores. 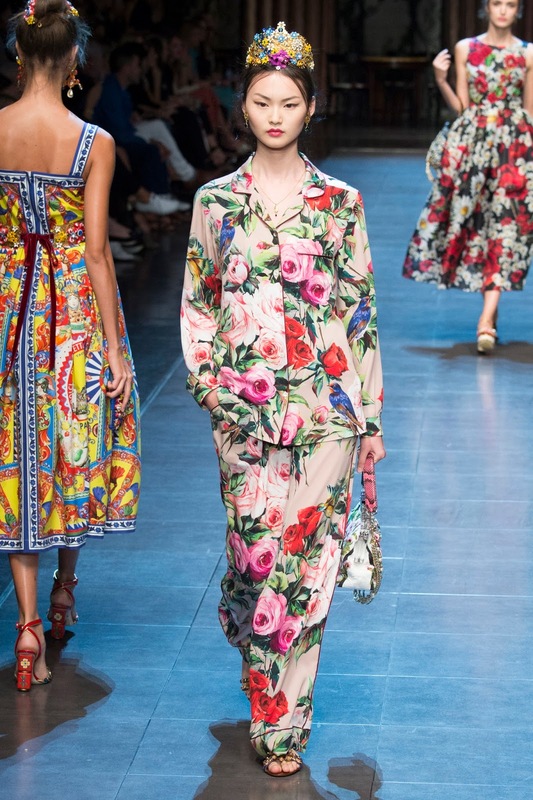 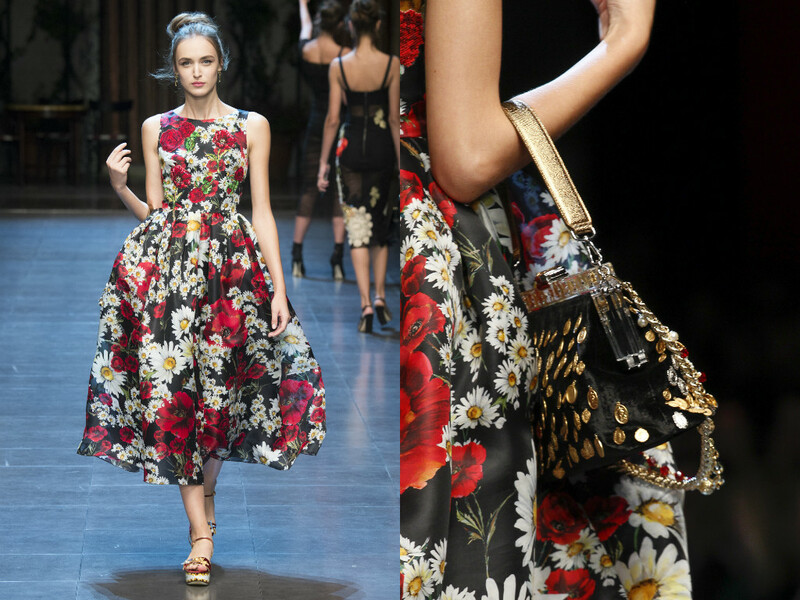 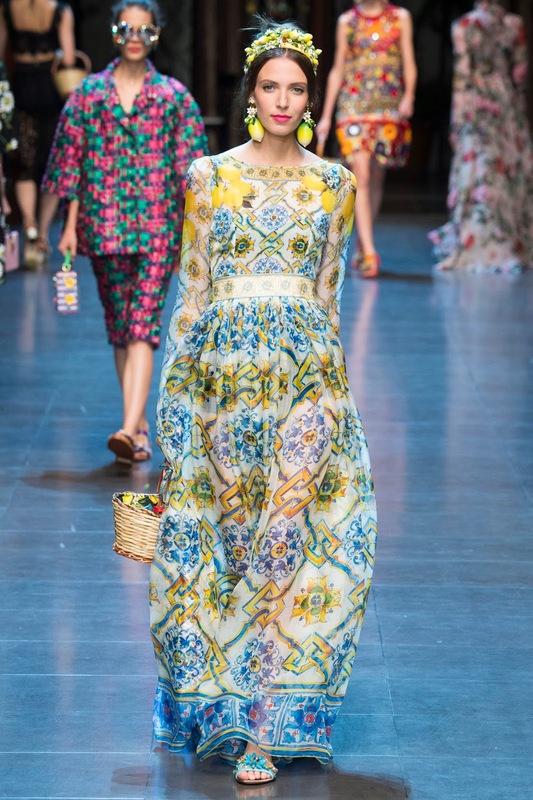 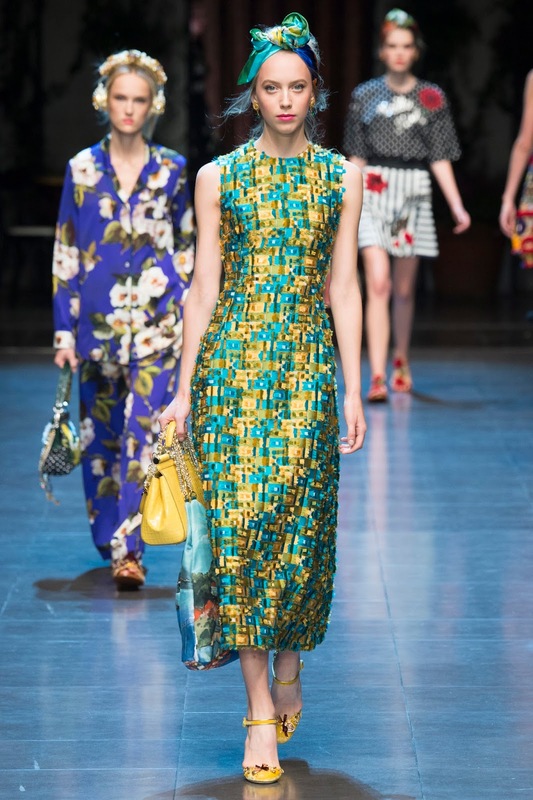 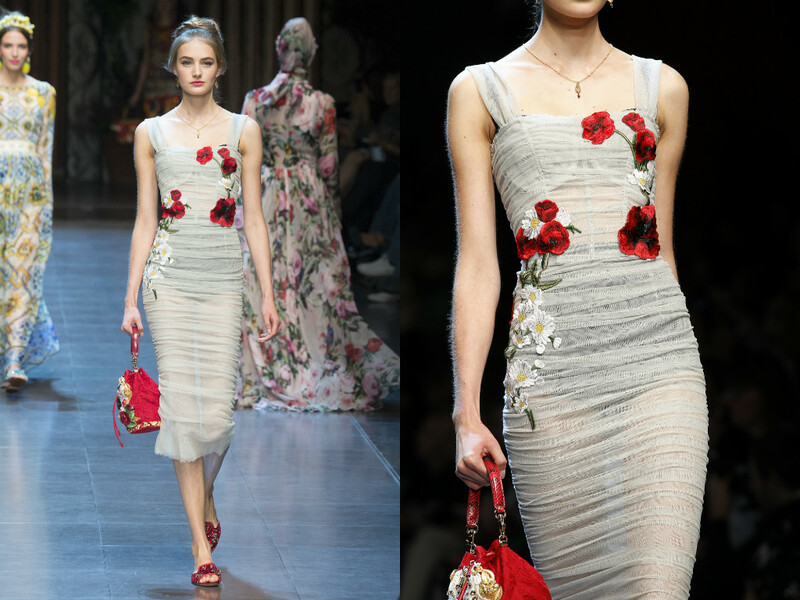 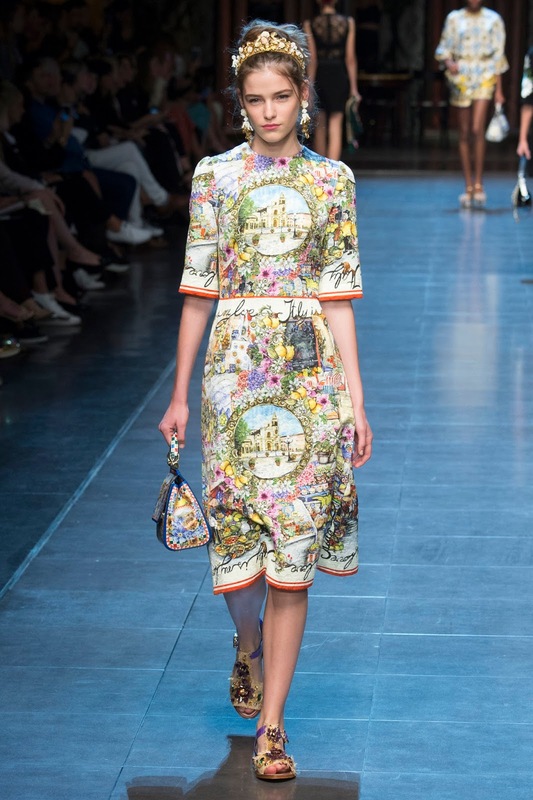 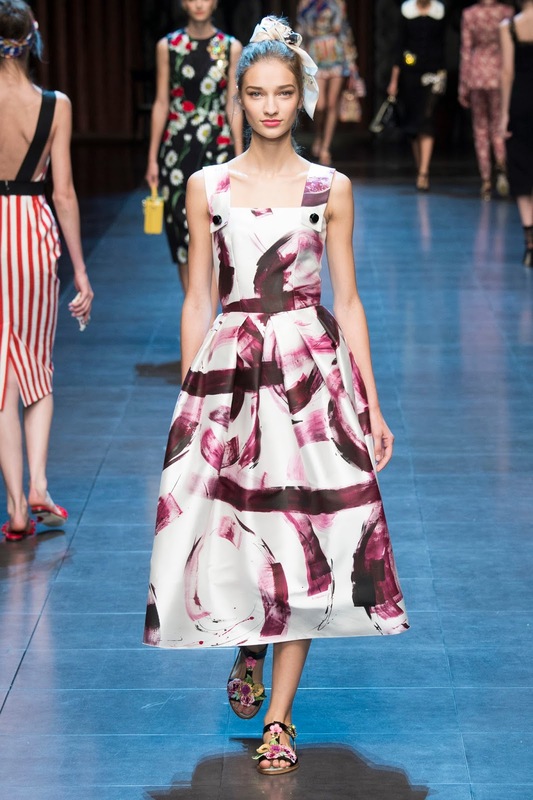 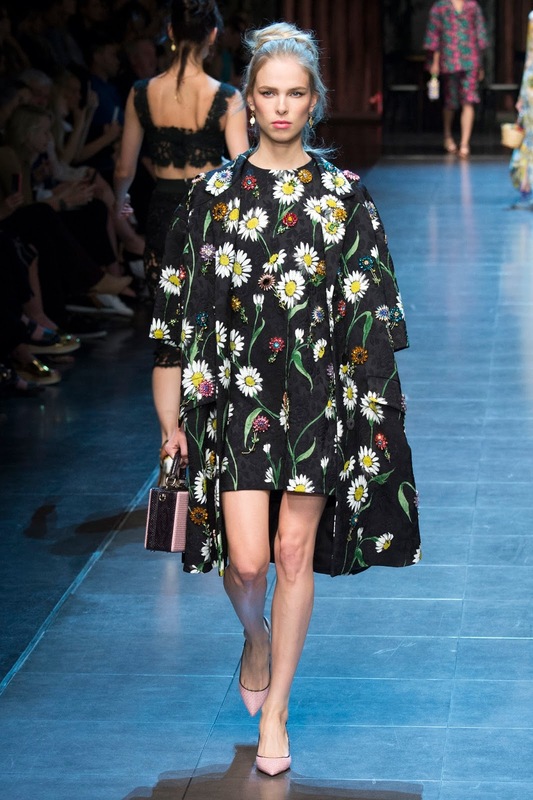 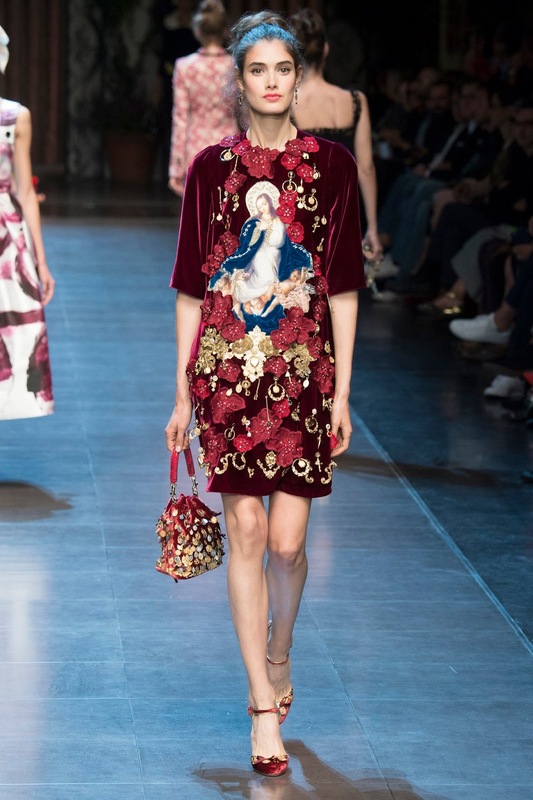 Obviously, Dolce and Gabbana have had it's fair share of media scandals so to speak, but this have never affected sales or the popularity of their brand which does speak volumes of how talented, unique and well loved the designers are. 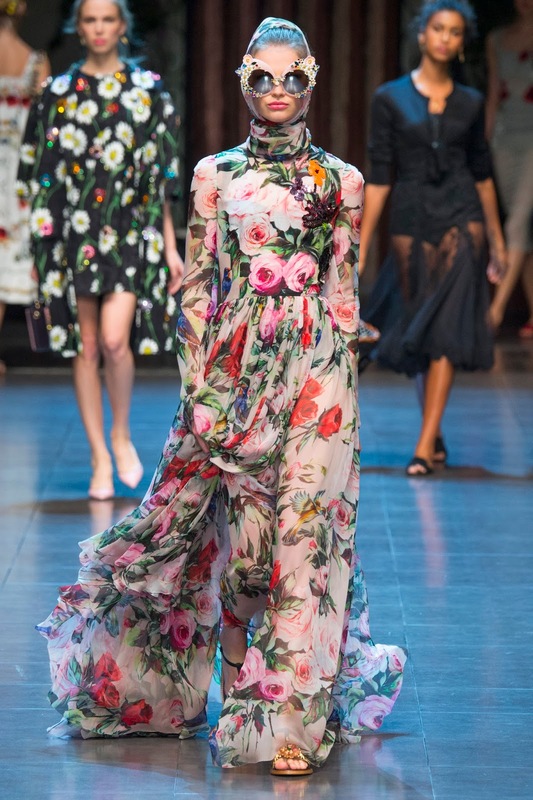 I haven't researched years and years back of their collections but for the past few seasons, the collections have been quite similar in terms of what they produce. 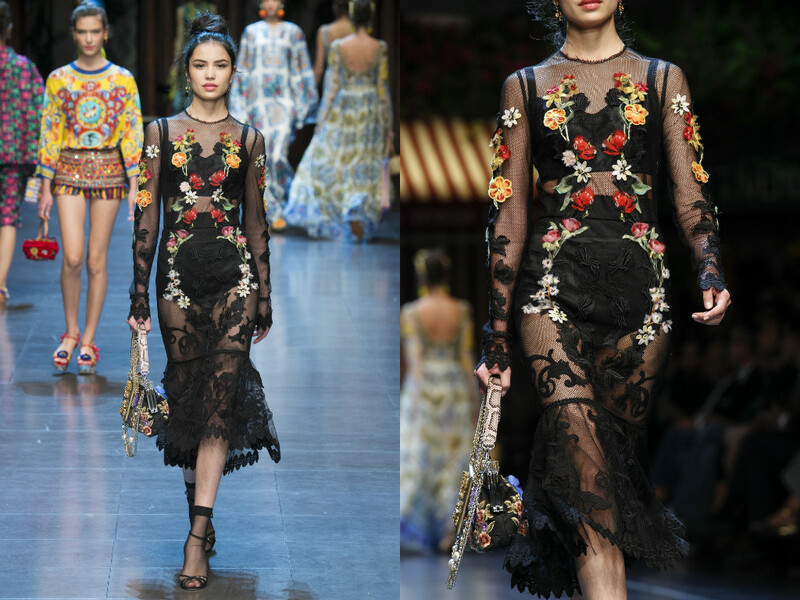 The embellishment, colour and flamboyance of the looks is undeniable and noticeable which really does convey that this is a luxury brand which will make a woman, feel like a more elegant, well presented and confident version of herself. 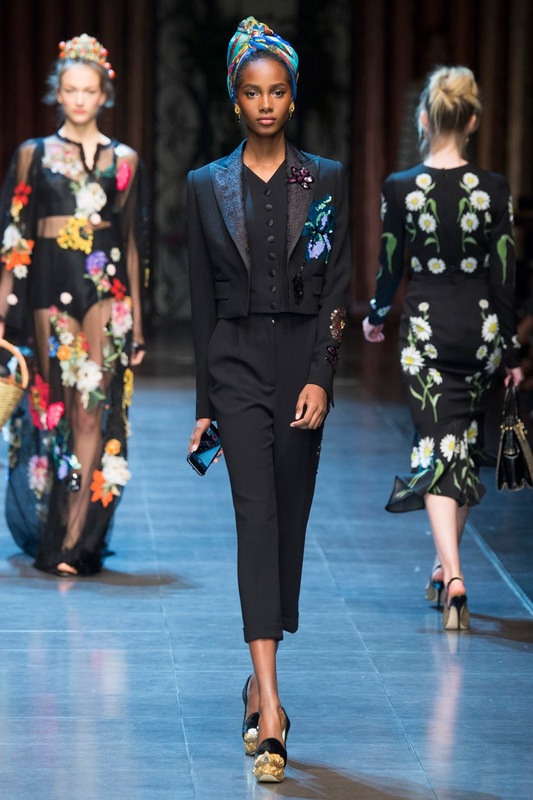 Every look in this collection was different. 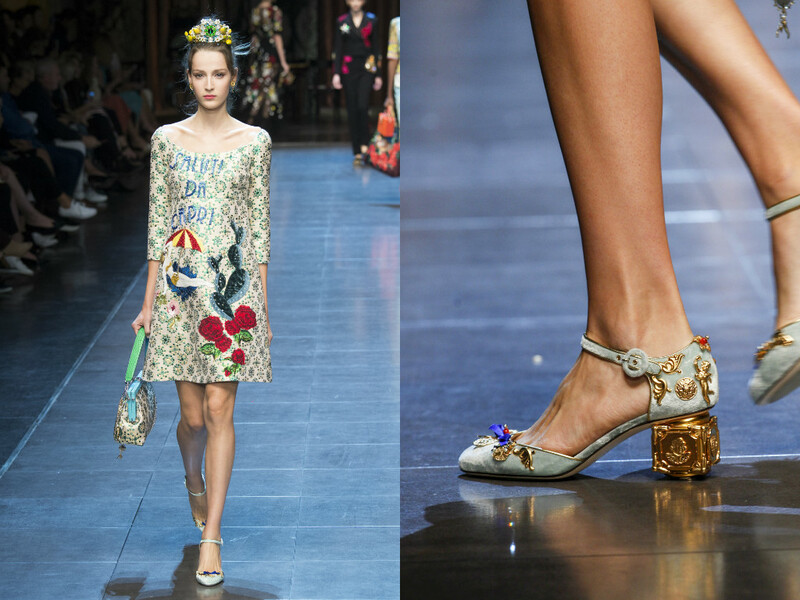 No two were alike. 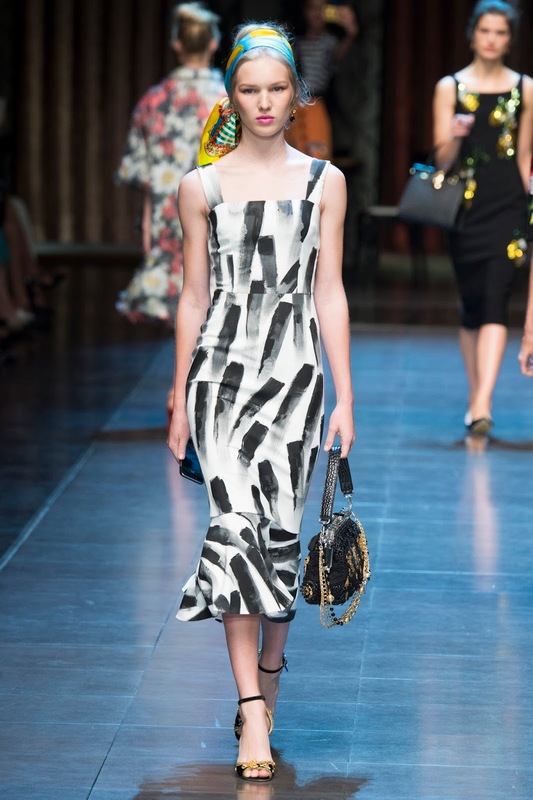 Each look that was walked down the catwalk by each model was remarkably different. 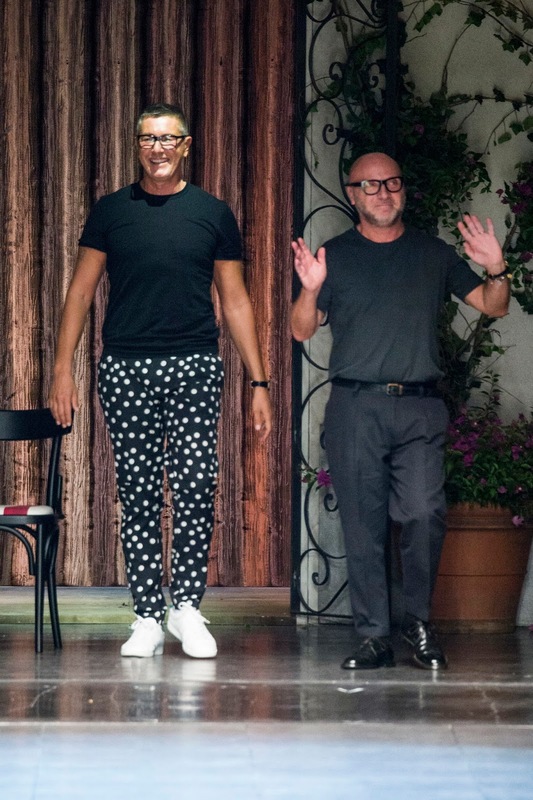 I find these two men absolute genius to be able to produce such individual but so well put together looks each season - with so many of them! 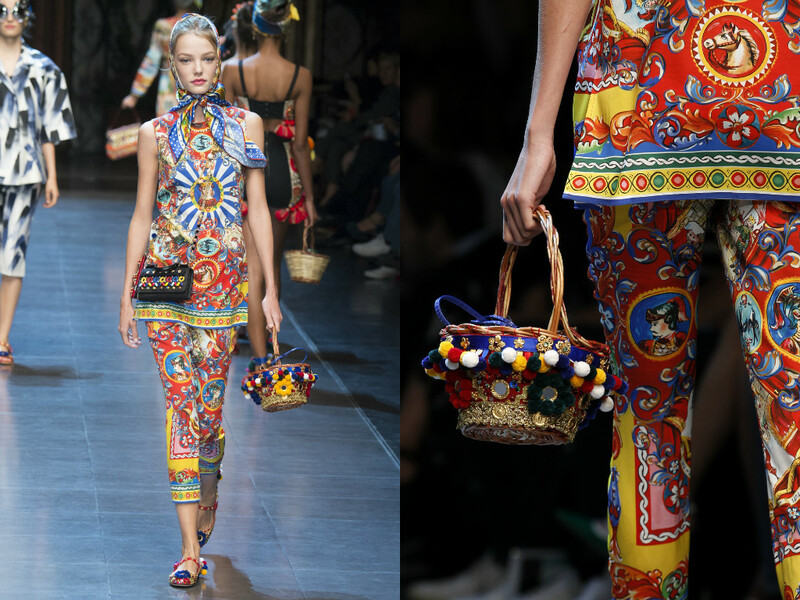 It is actually incredible and applaudable. 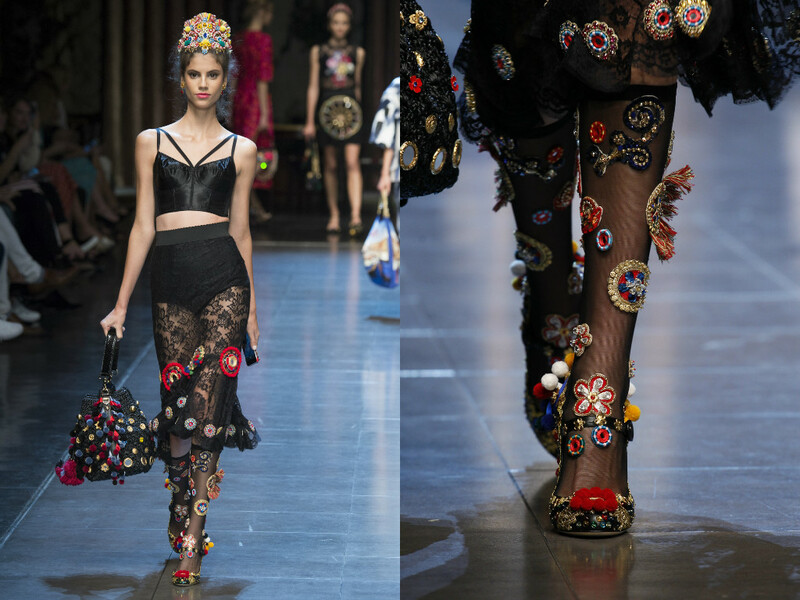 This is what not only makes fashion something to wear, but something to admire and love. 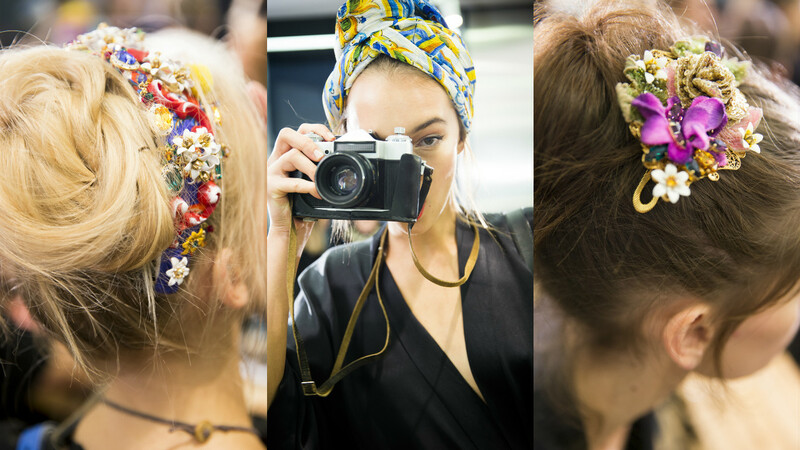 It is said that backstage, Stefano was sitting with a maze of accessories. 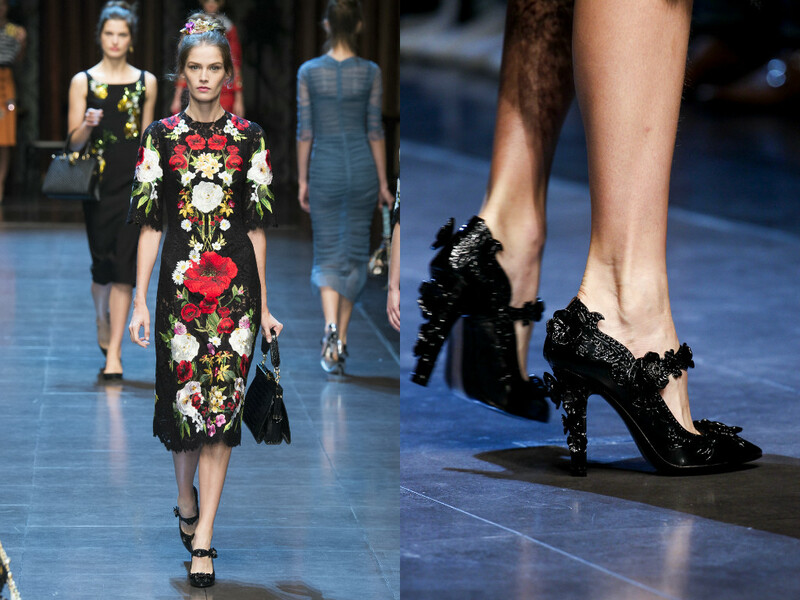 Huge earrings, velvet with embellishment shoes and those crystal incrusted clutches. 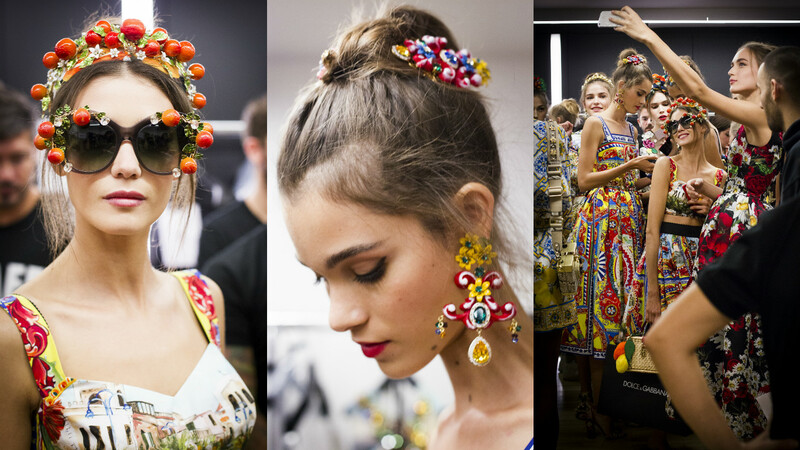 Whilst Dolce was fitting models into their outfits, perfecting the looks before they went on. 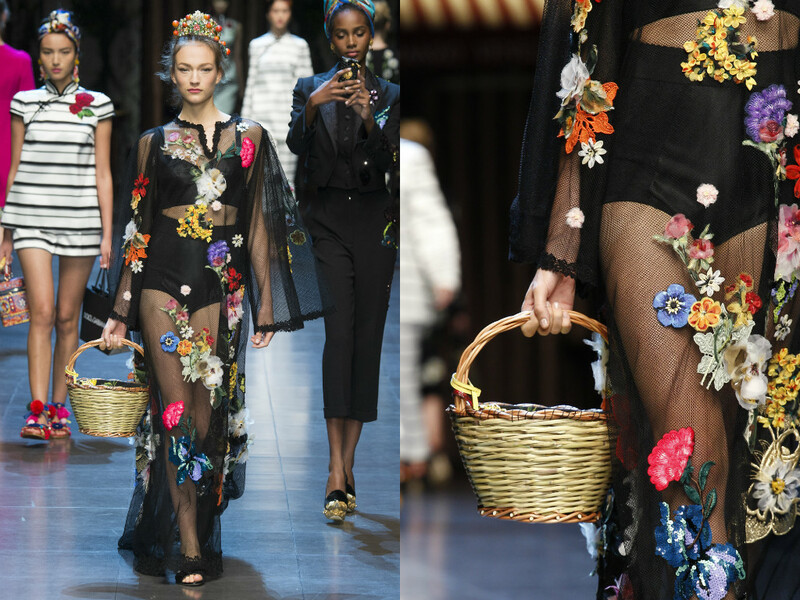 Very hands on and very involved with not only the designs and clothes, but the whole look and individual aspect of the show. 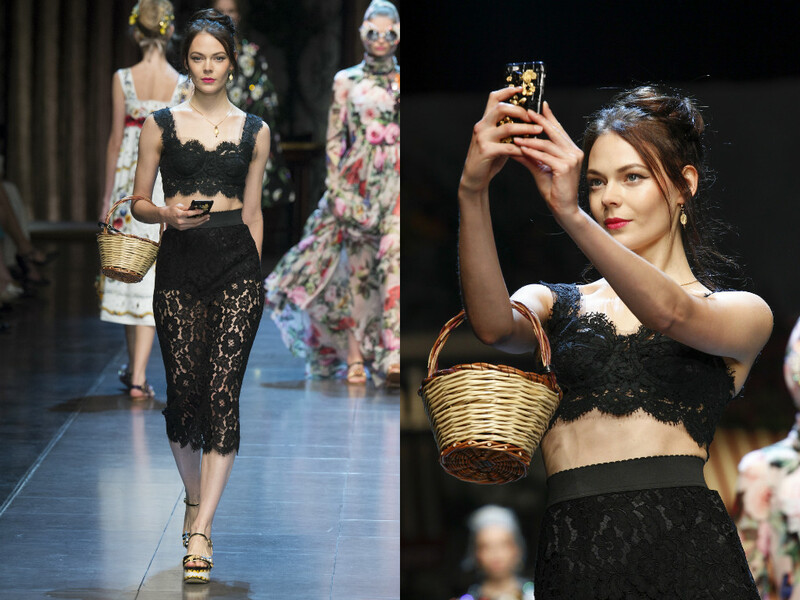 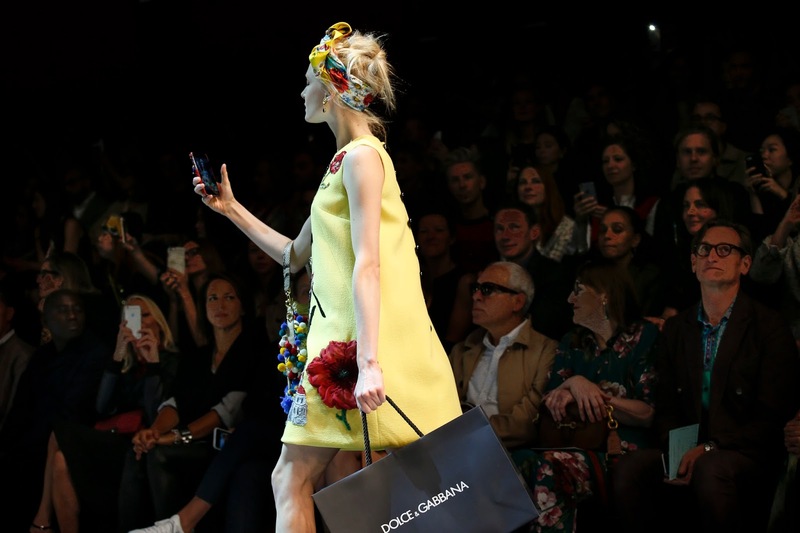 Dolce demonstrated to a model how he wanted her to stop, take a selfie and enjoy the moment on the catwalk - "We don't believe in fashion for trends anymore. 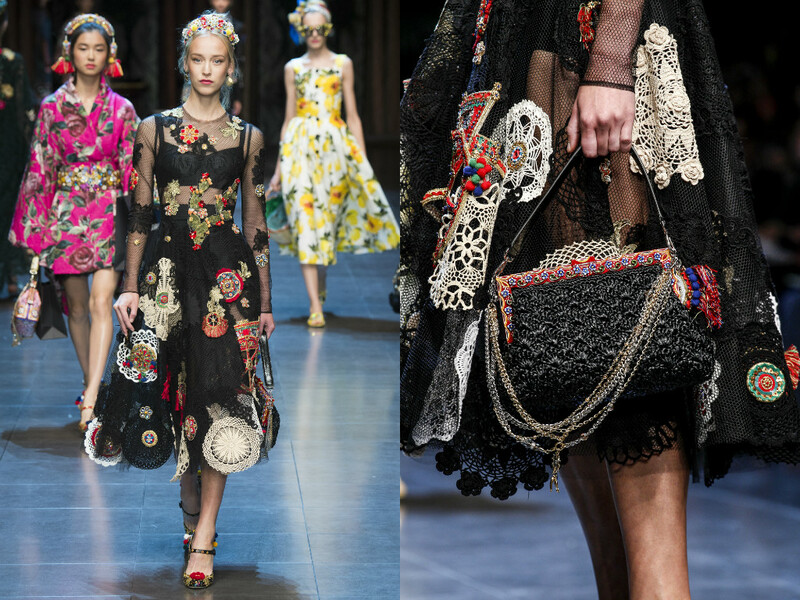 We want to show emotion. 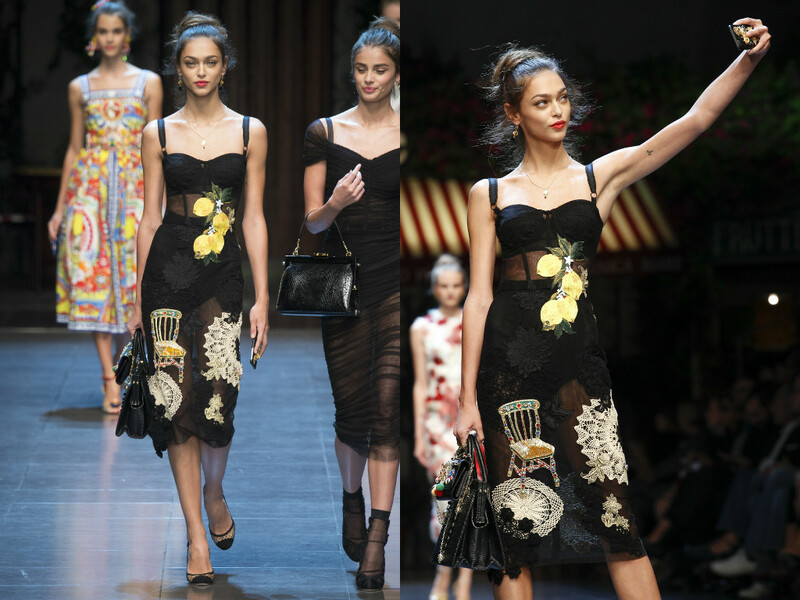 Just enjoy" said Stefano. 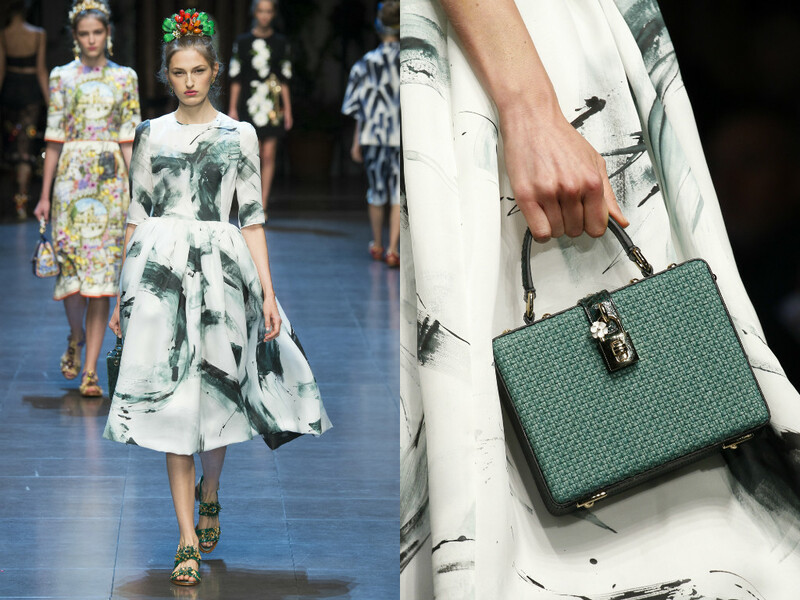 Much of the inspiration behind this collection is Italy. 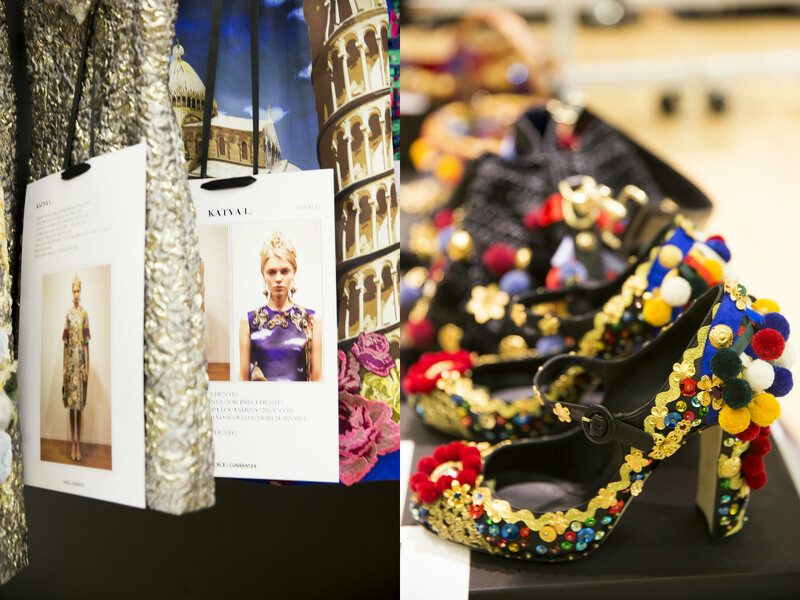 The mood boards for the collection were vintage posters of beautiful cities around Italy which included; Venice, Rome and Florence. 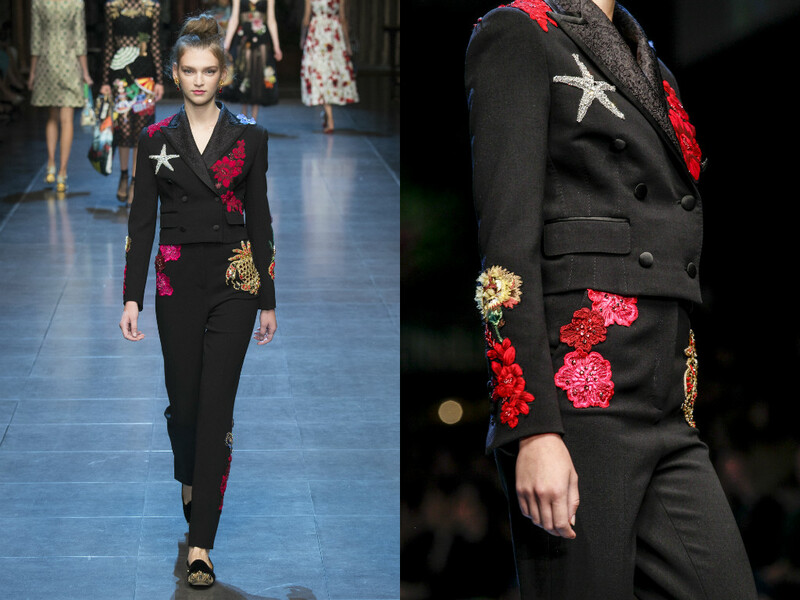 It also included images of beautiful Italian film stars and beautiful embroidery. 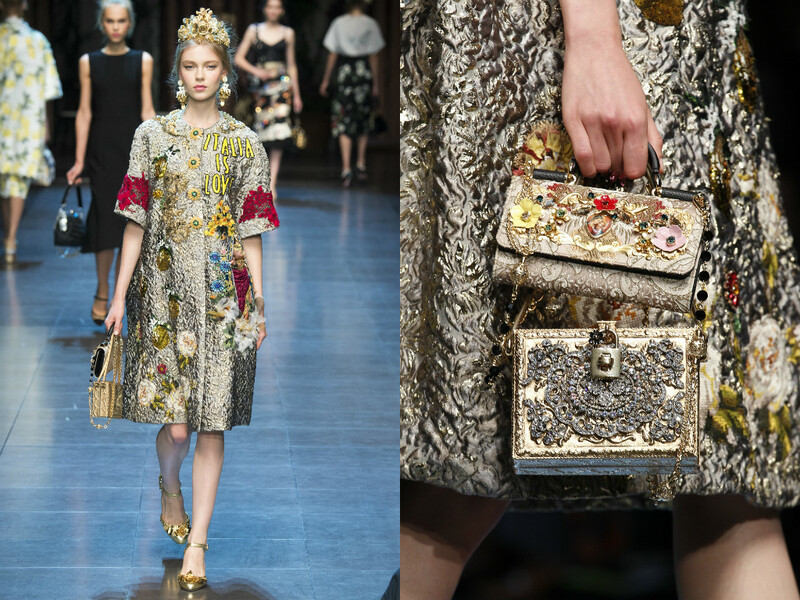 I personally think that is what makes Dolce and Gabbana so luxurious and unique - is the impeccable embellishment that goes into each individual piece. 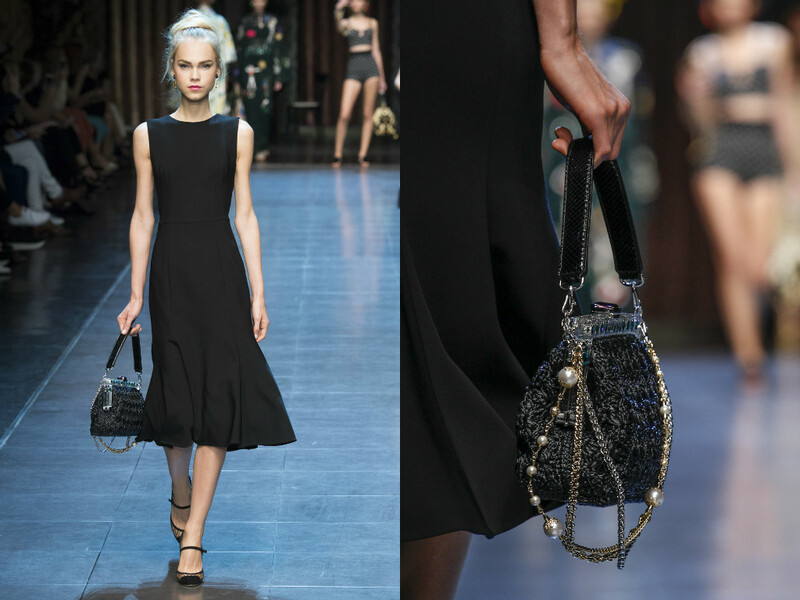 It's not only mesmerising but makes a woman feel a million dollars - which I think is a big contribution to the success of the brand. 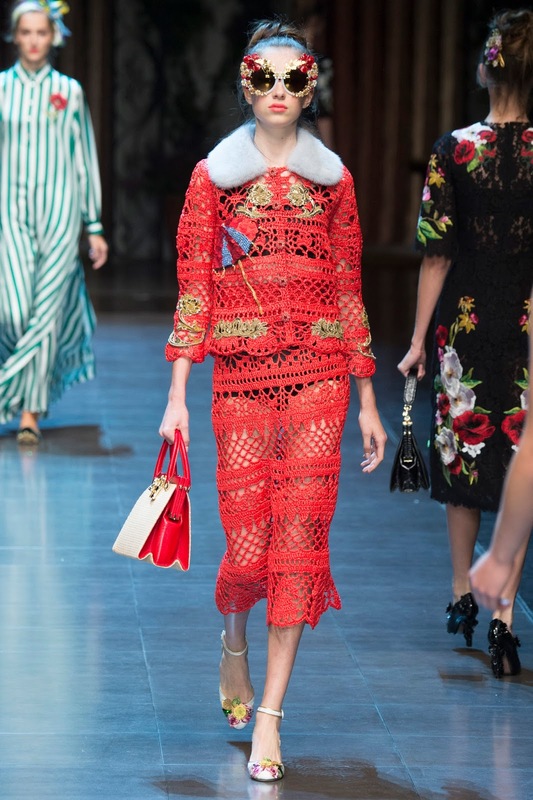 I would somewhat describe Gucci's new creative director, Alessandro Michele (who is one of my favourite designers), has the same sort of outlook as Dolce and Gabbana. 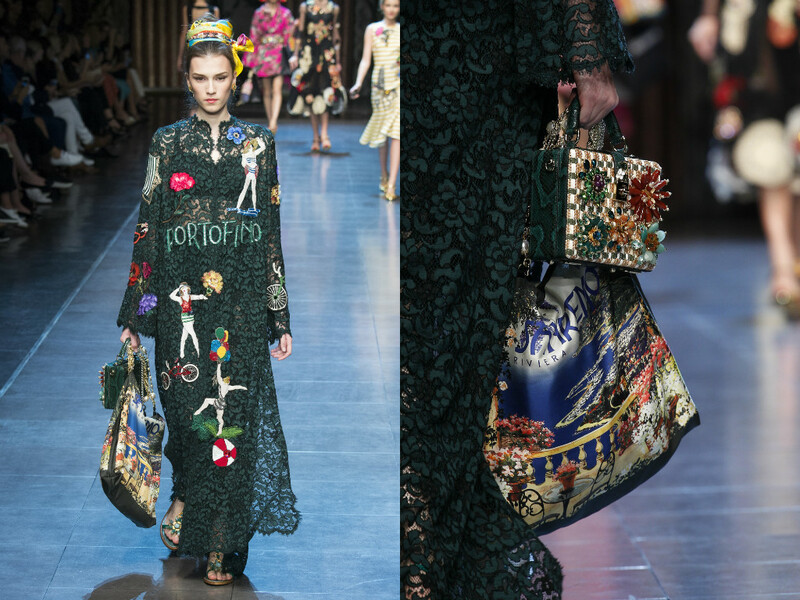 They are artistic, flamboyant and artistic so a degree which they then project onto clothes. 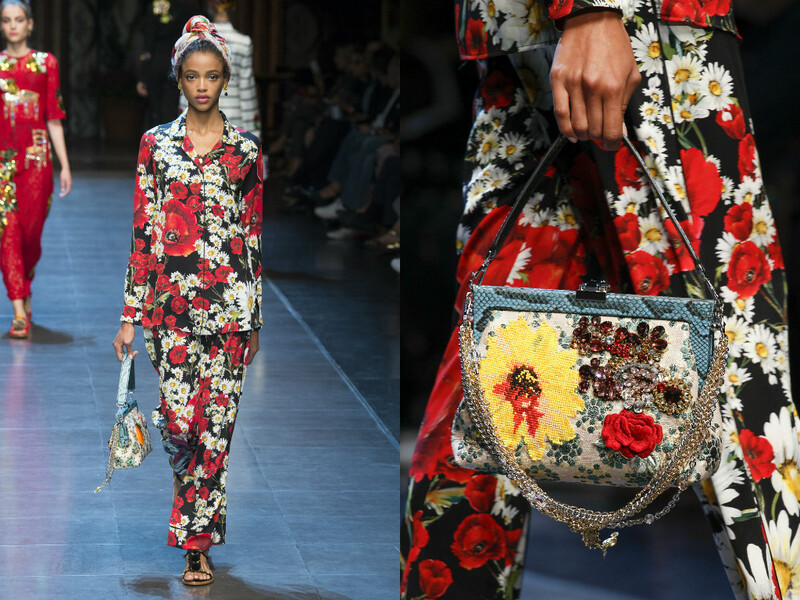 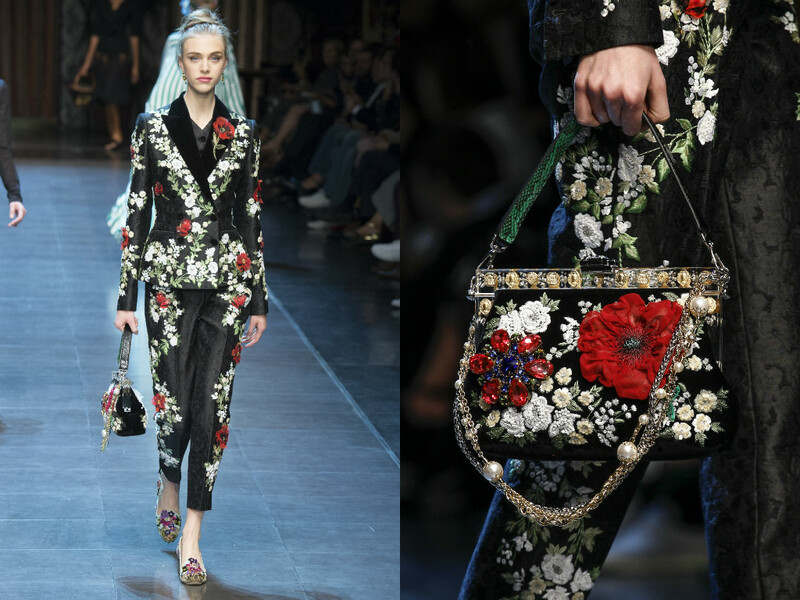 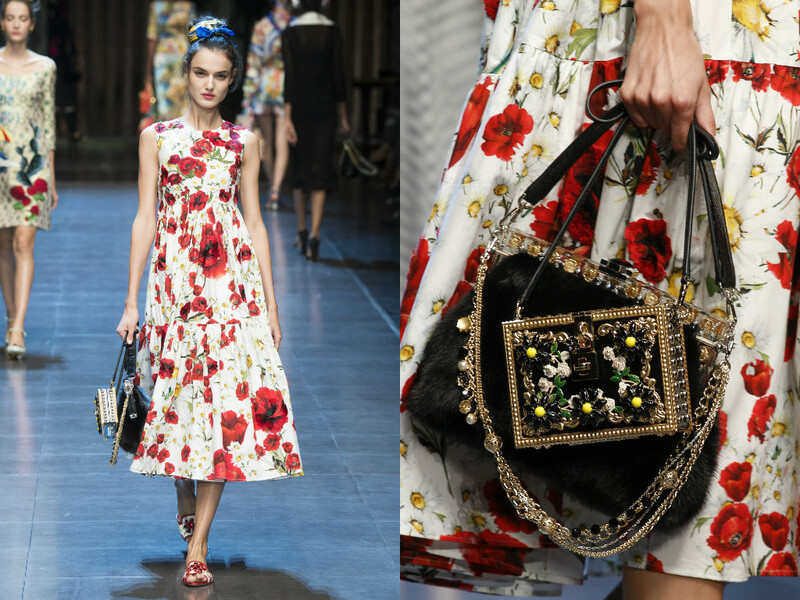 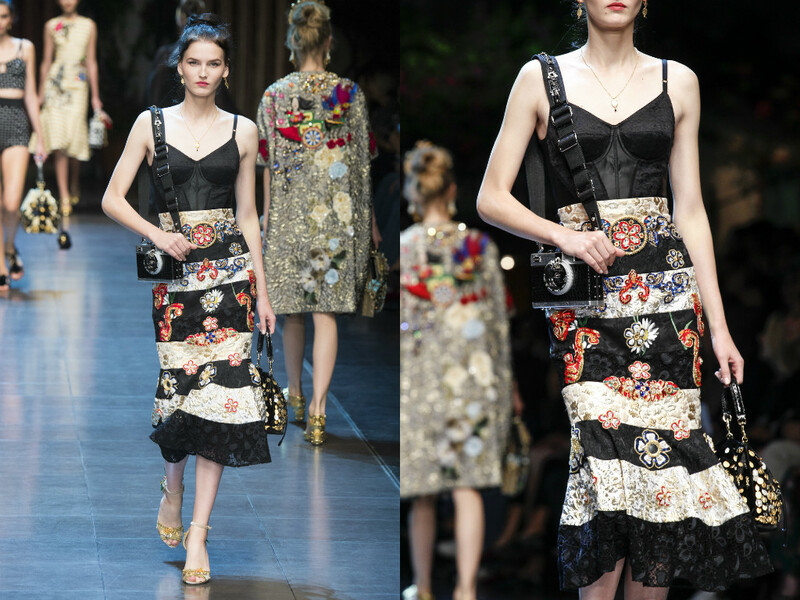 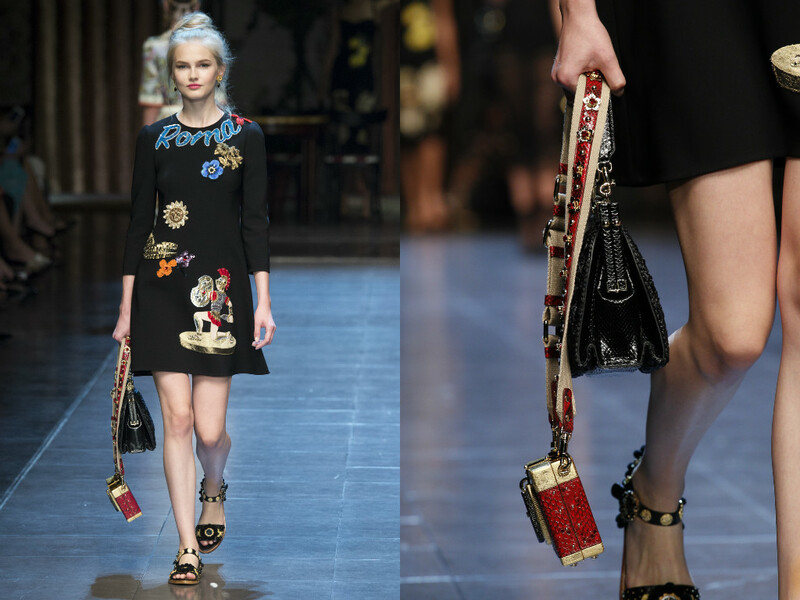 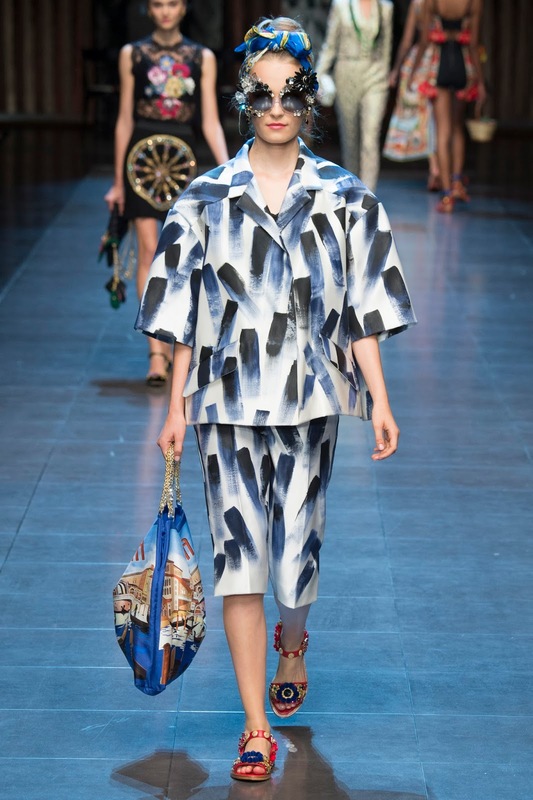 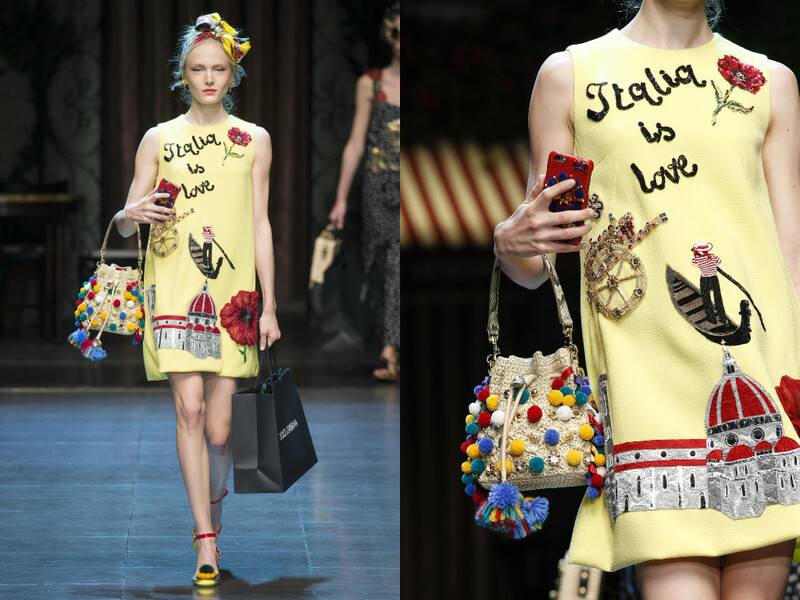 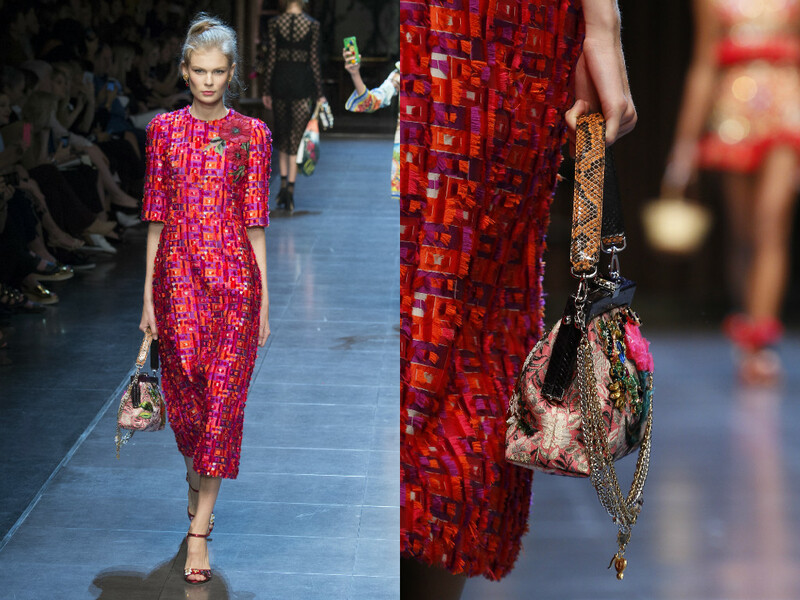 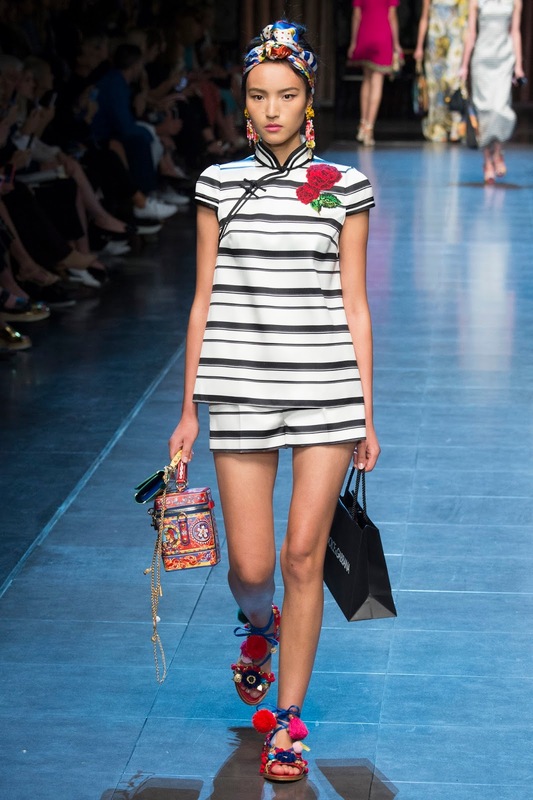 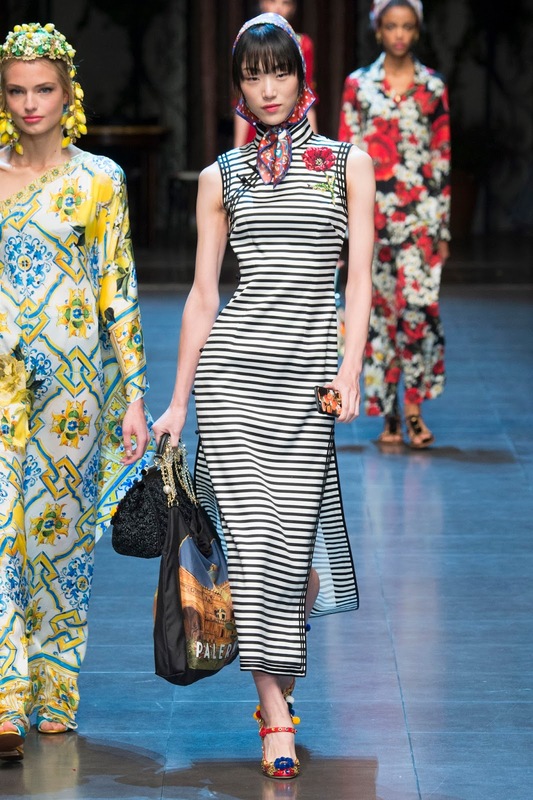 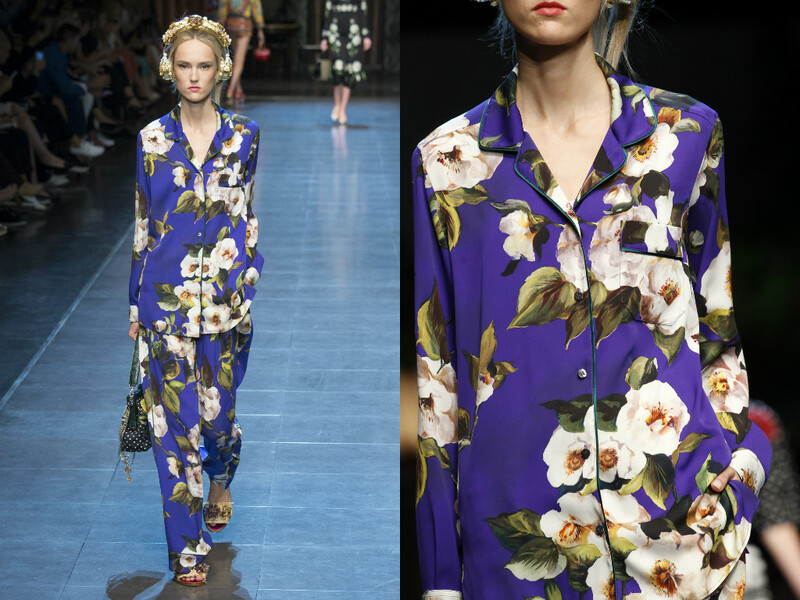 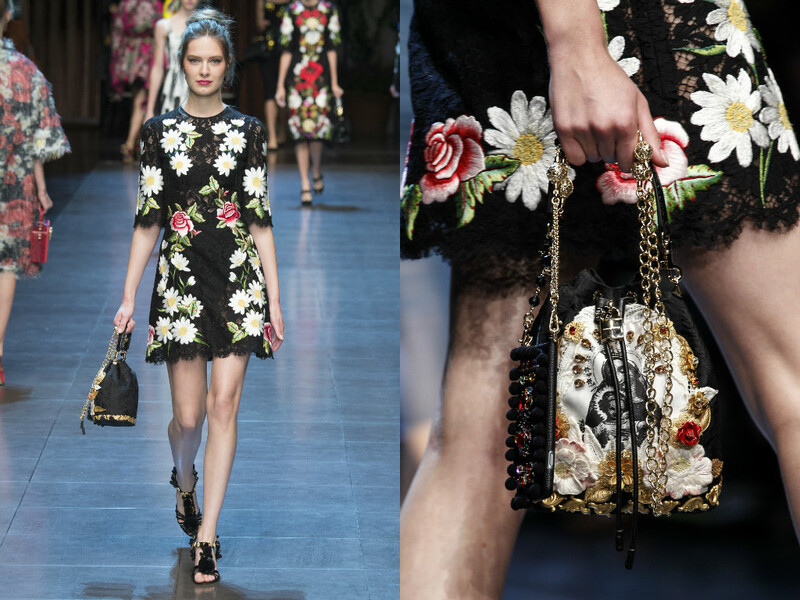 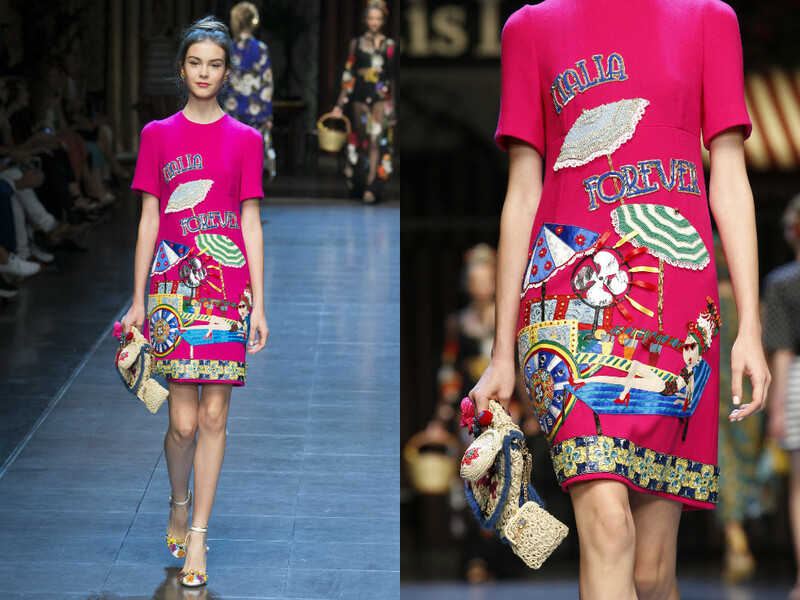 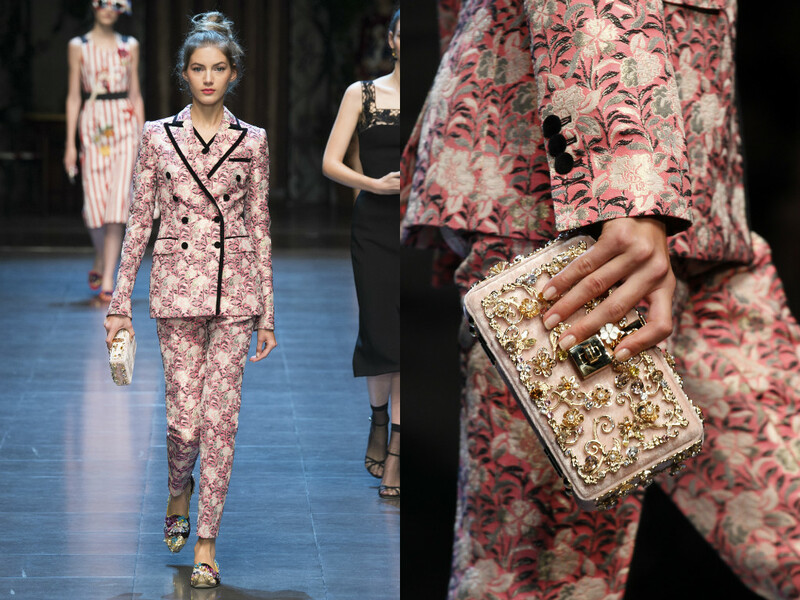 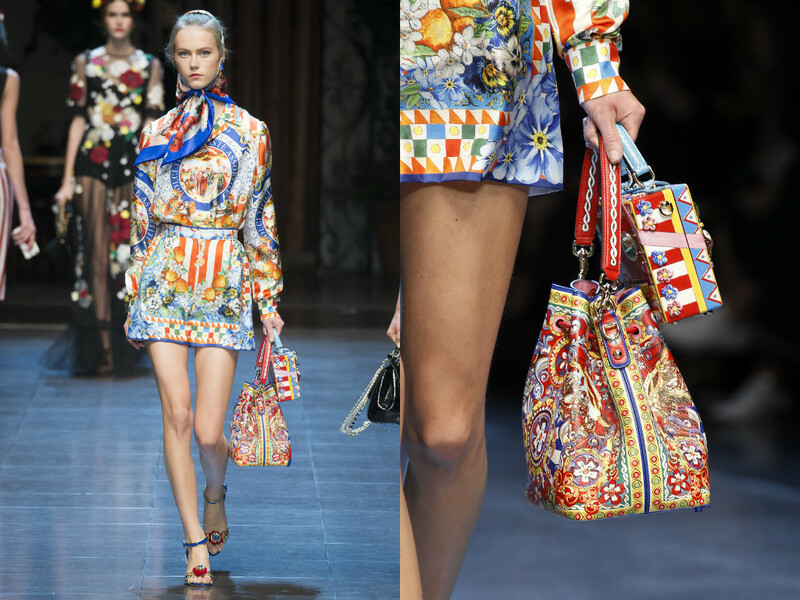 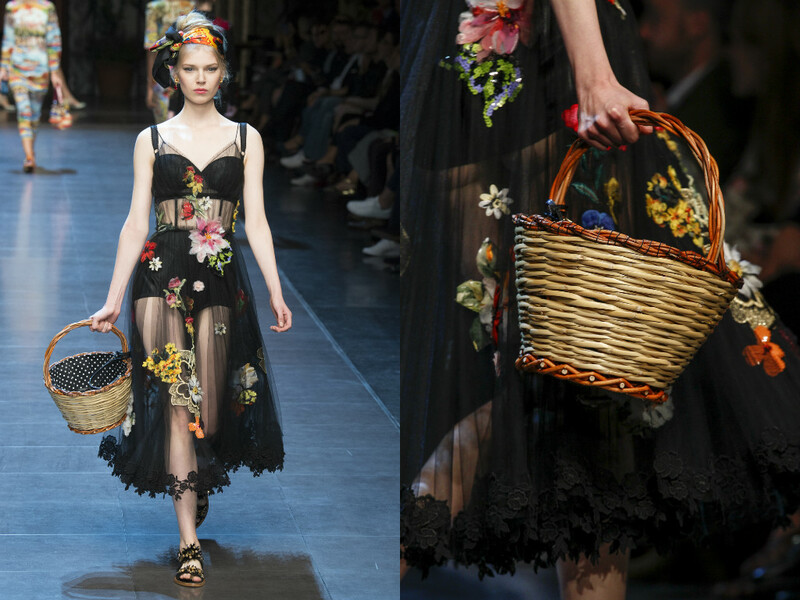 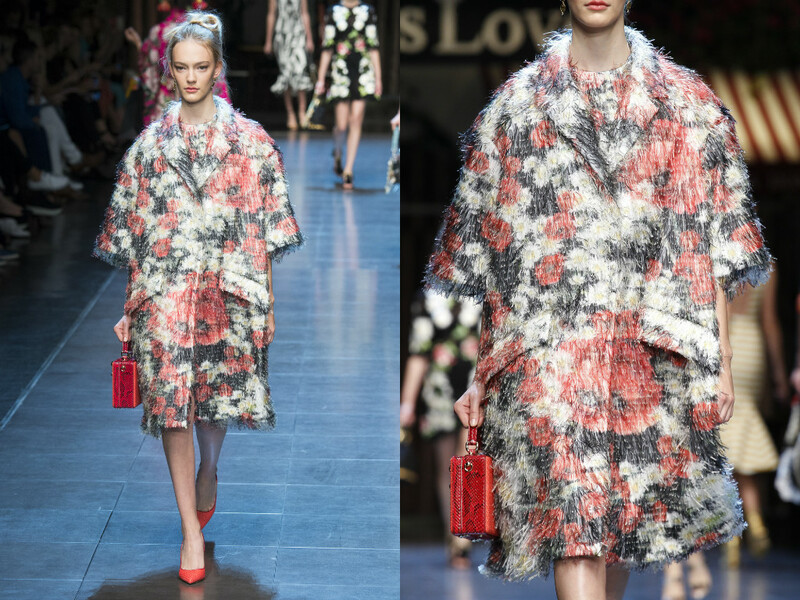 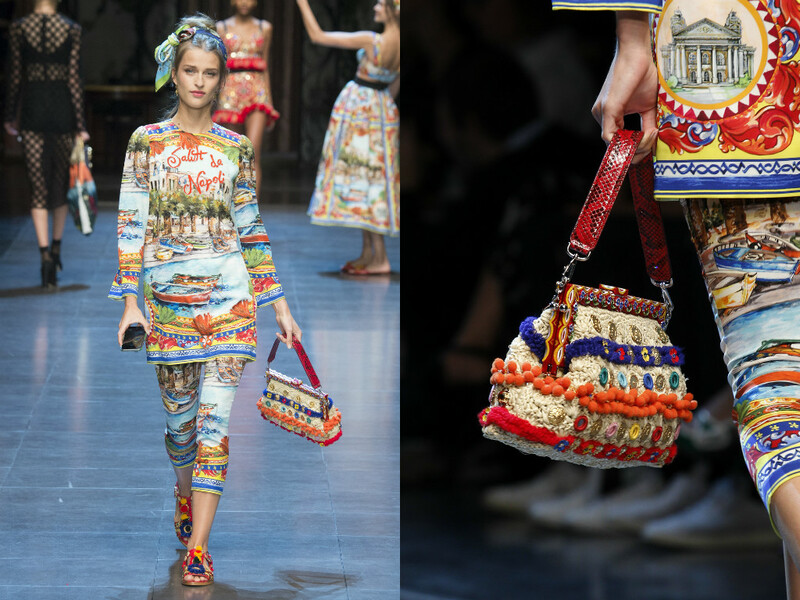 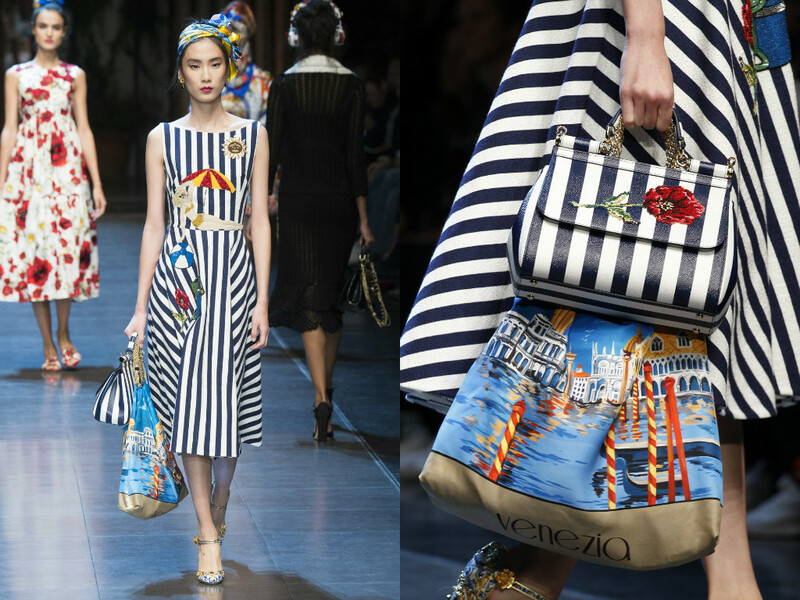 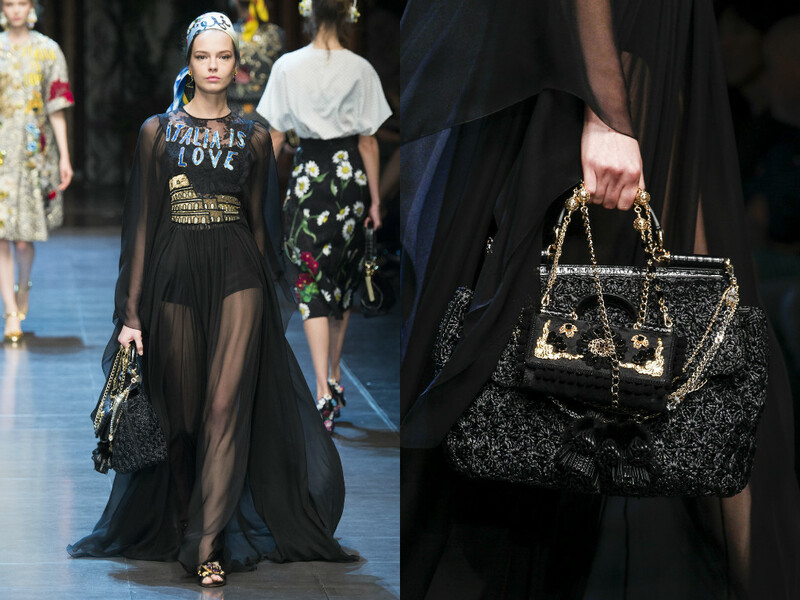 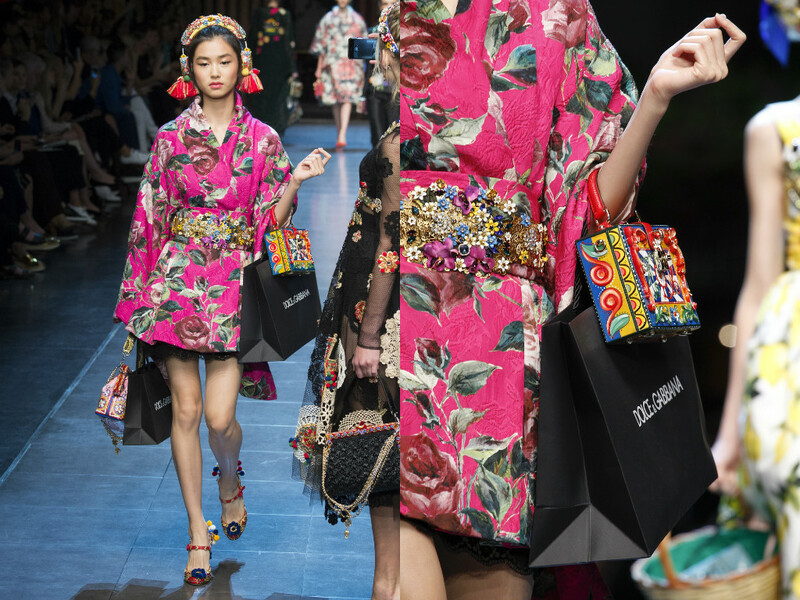 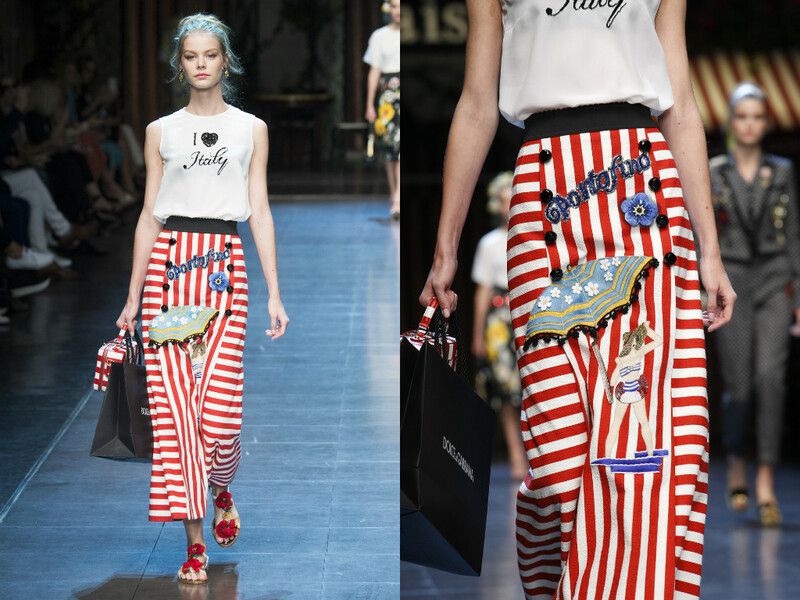 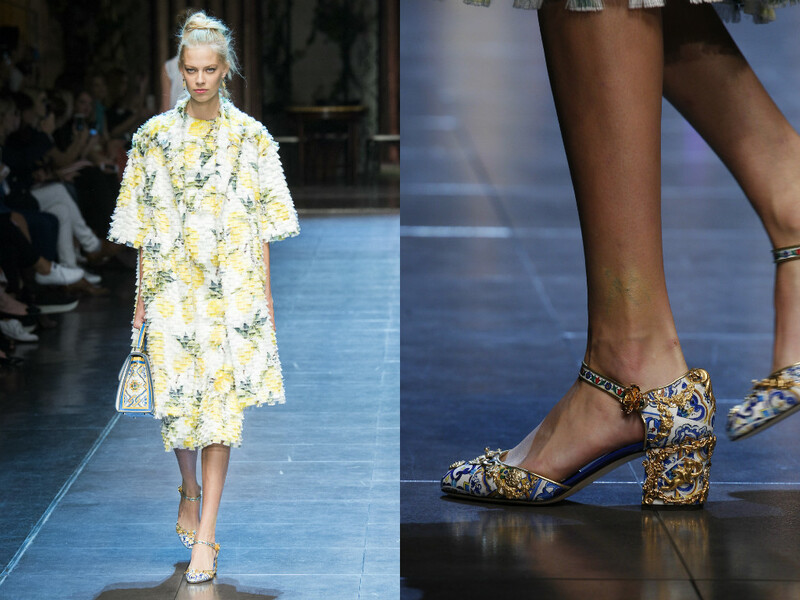 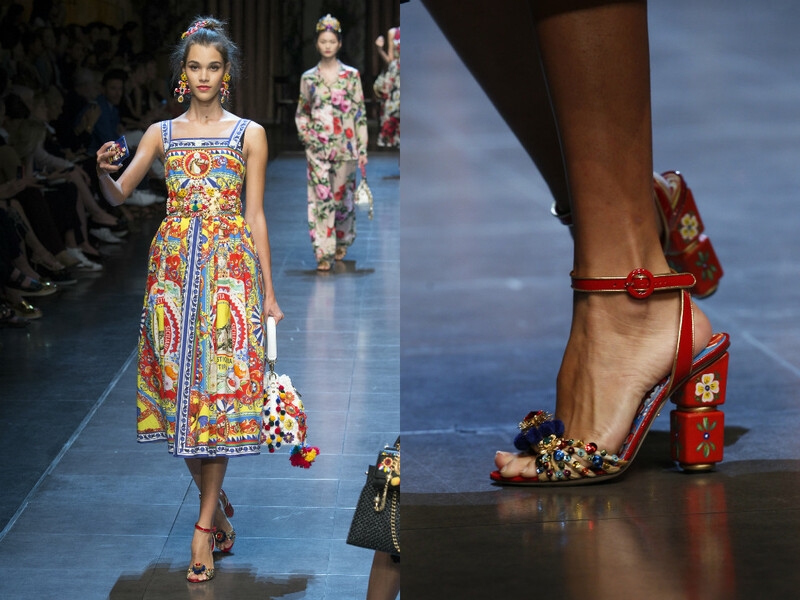 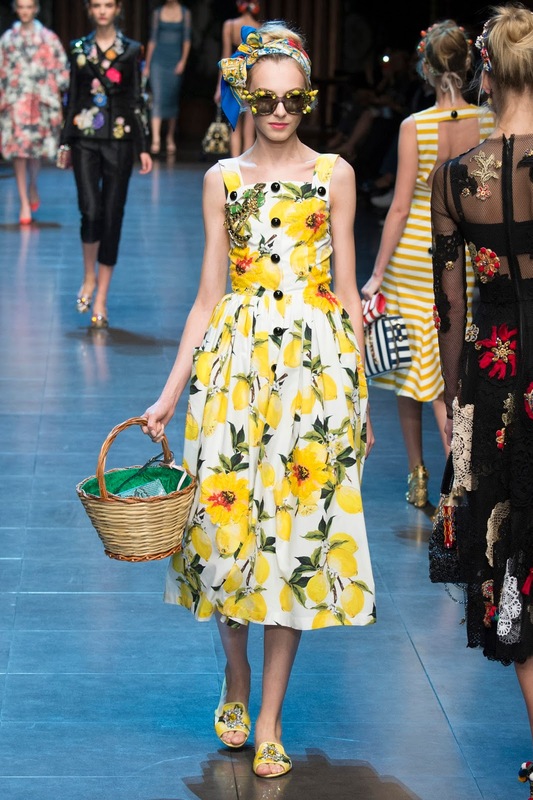 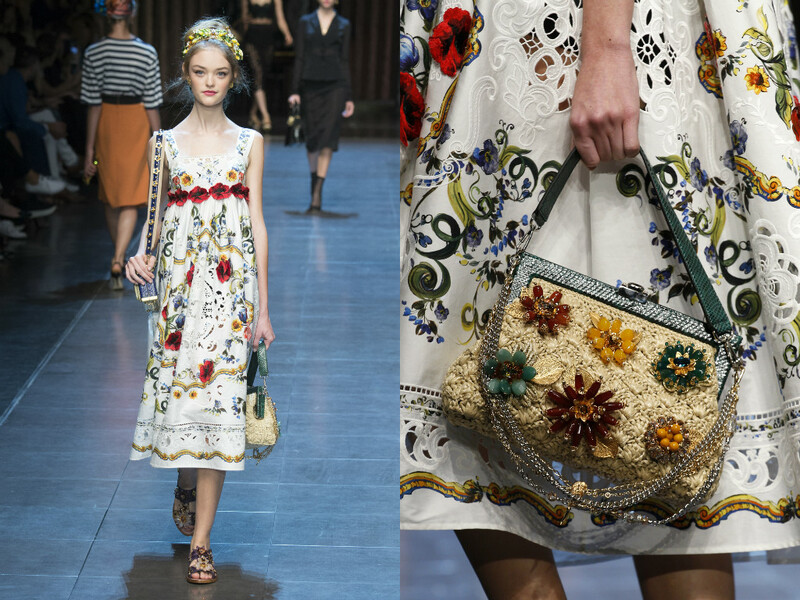 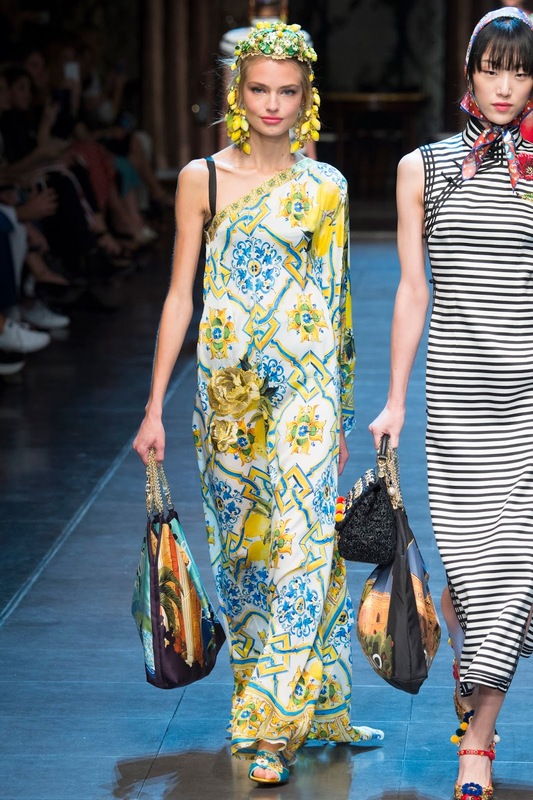 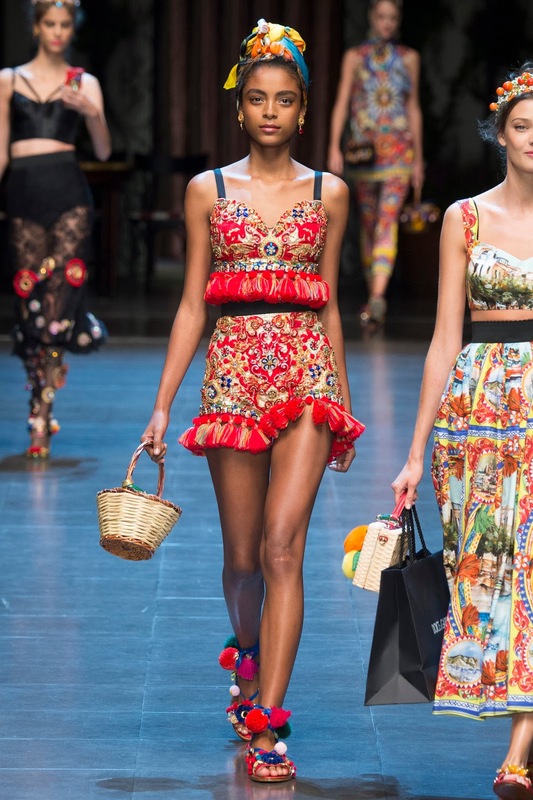 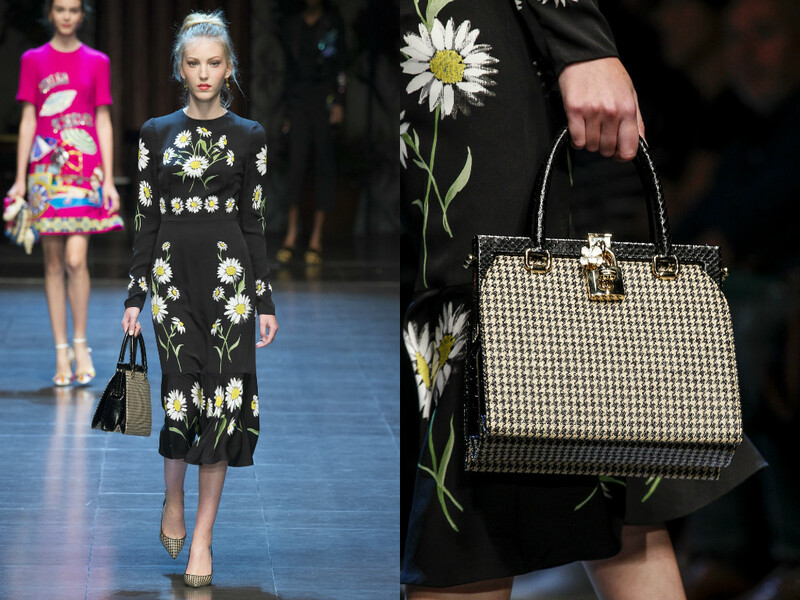 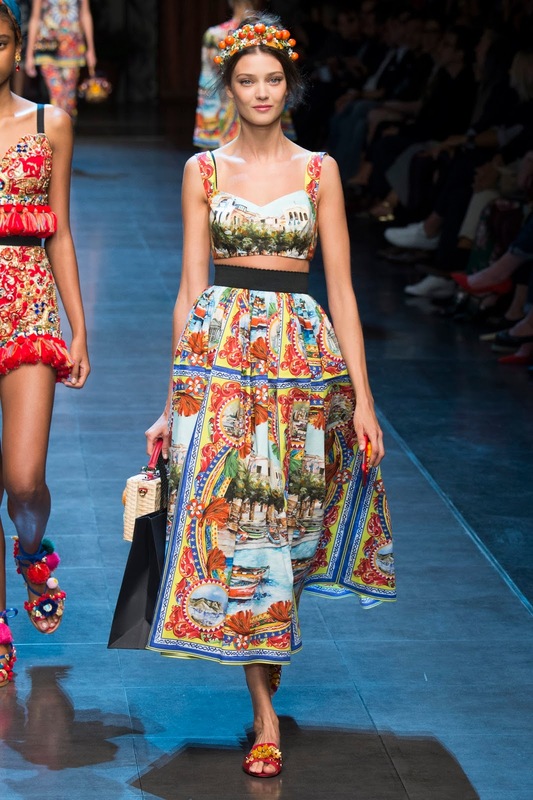 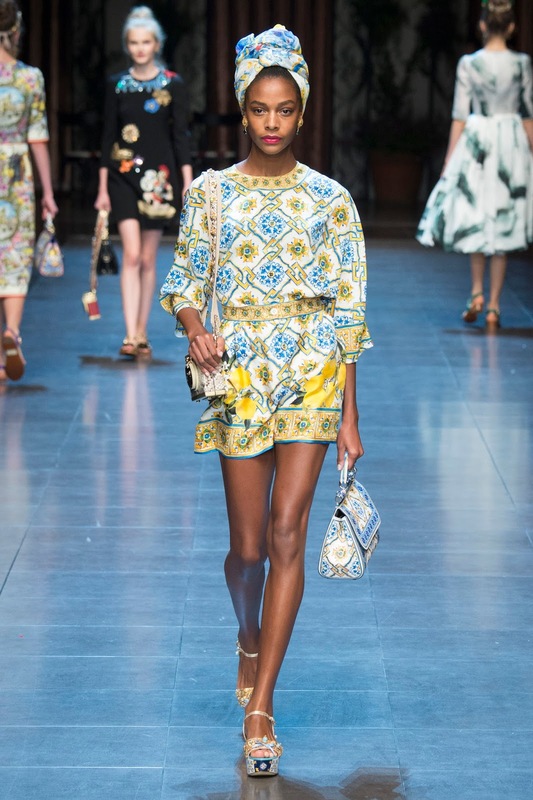 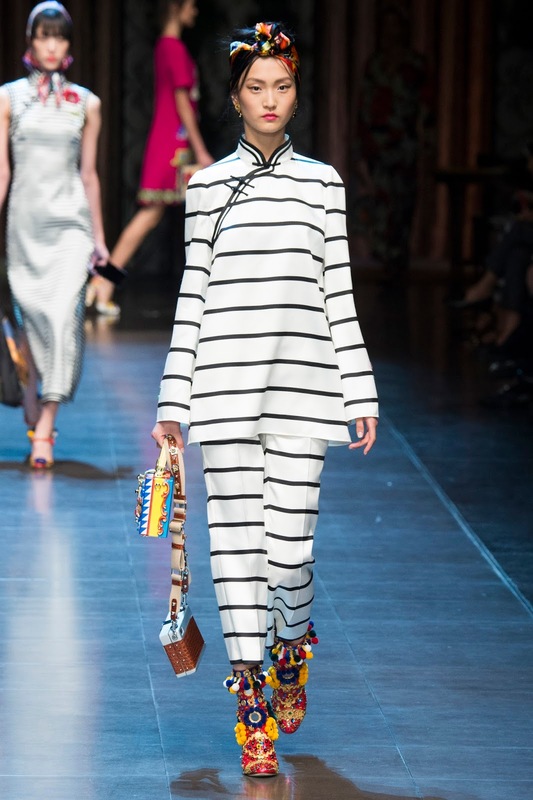 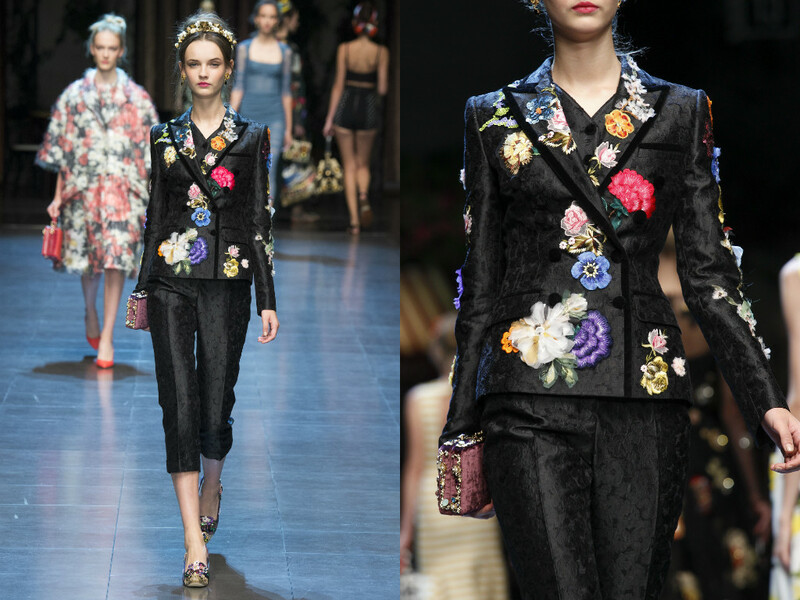 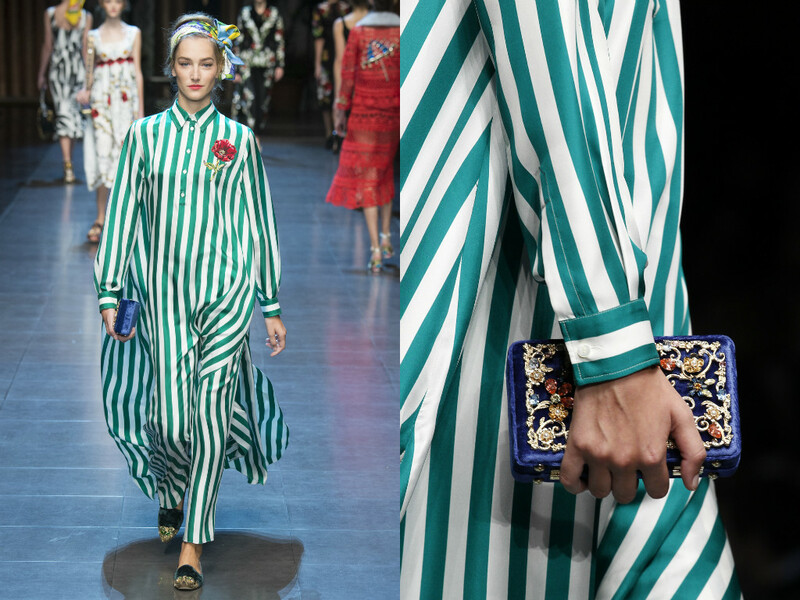 I see that the Italian influence and culture is being appreciated at D&G once again. 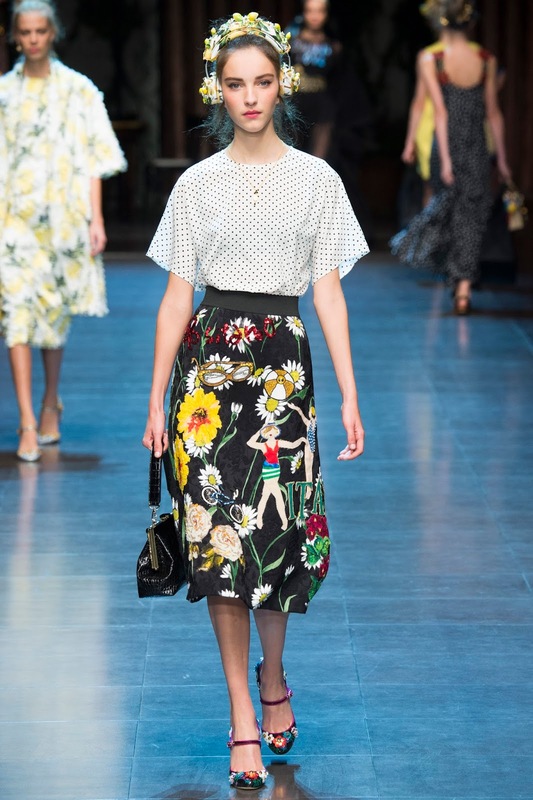 However, they have introduced a more contrasted feature to the vintage inspired looks with keeping up to present days with models taking selfies on the catwalk. 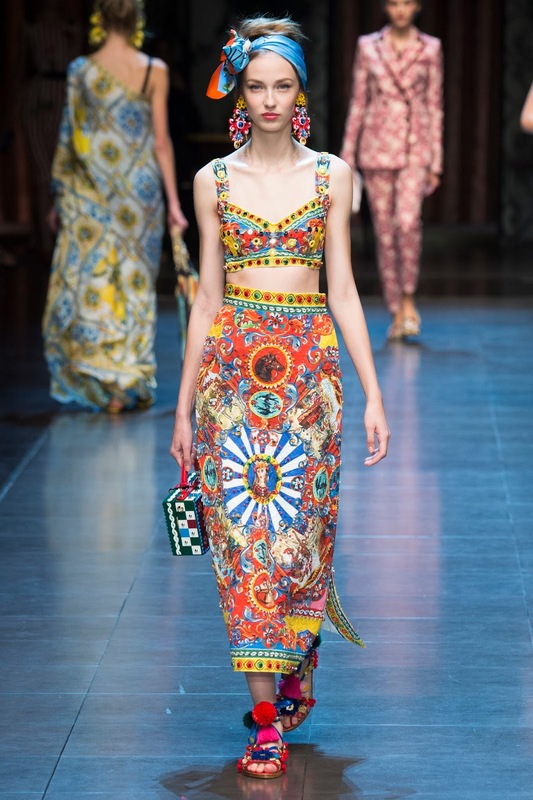 They are not only keeping the inspiration they have always loved and what we love - but are really evolving to the here and now. 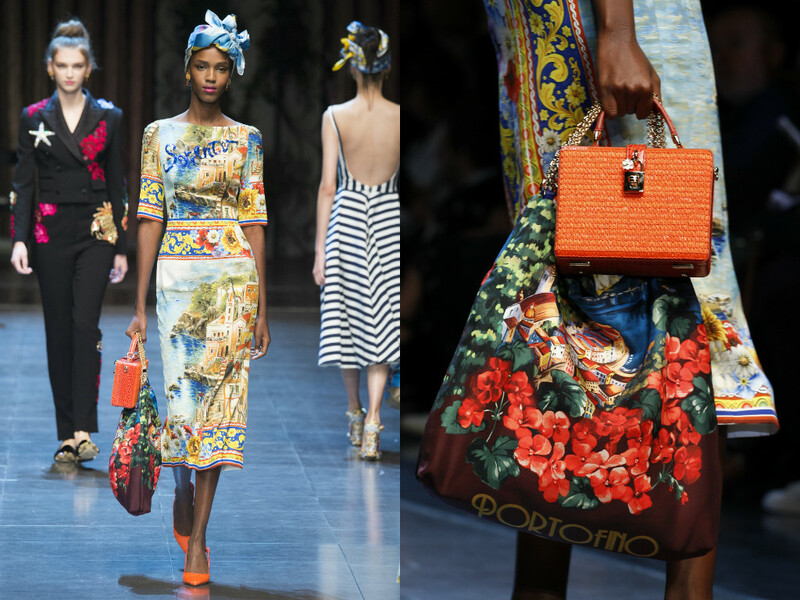 I think the collection speaks for itself, and says to all women, dress for you and your style and of course, have fun!